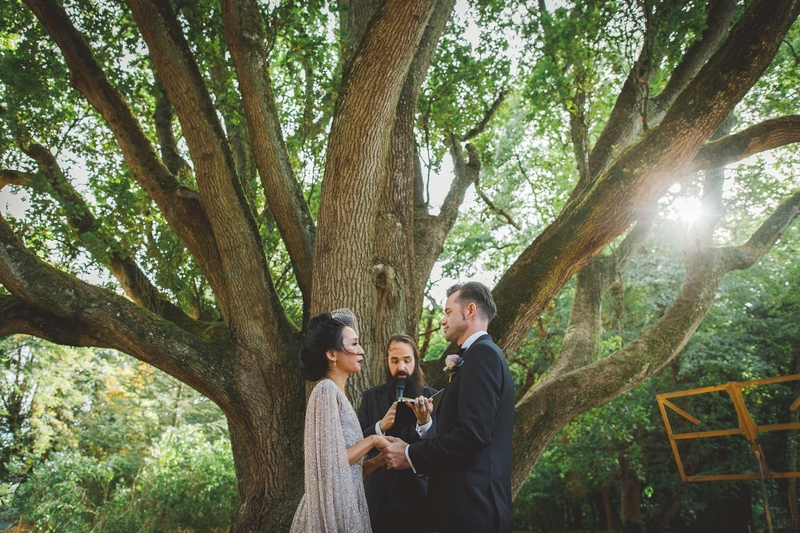 Mae and Gavin from LA are two really cool people and I was so happy when they contacted me last year when they were planning their wedding. 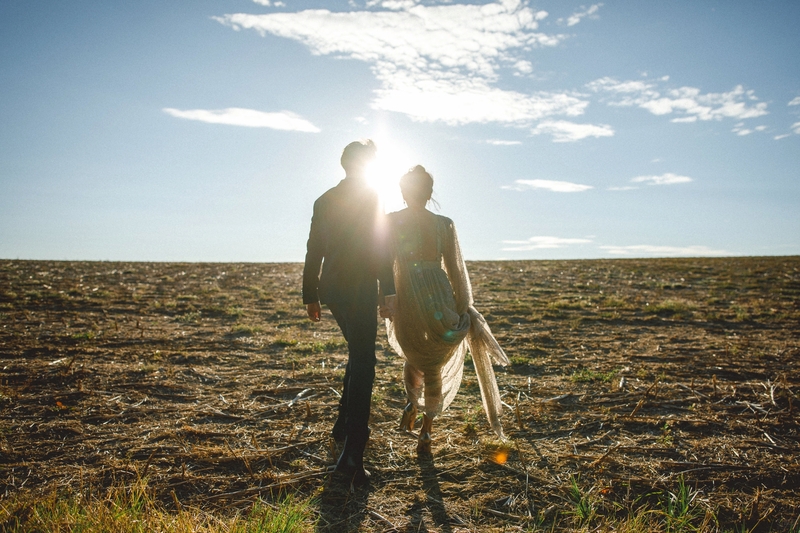 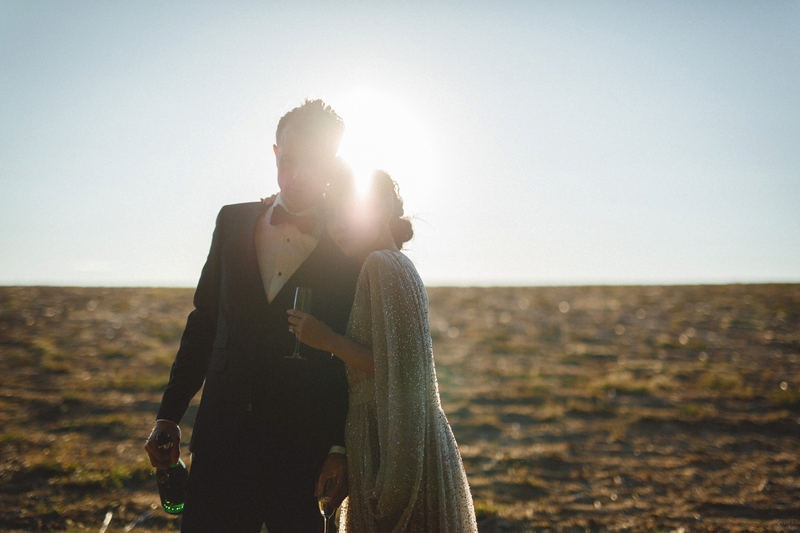 I met them (in person) in the most beautiful place – Joshua Tree park in California for their engagement session in March. 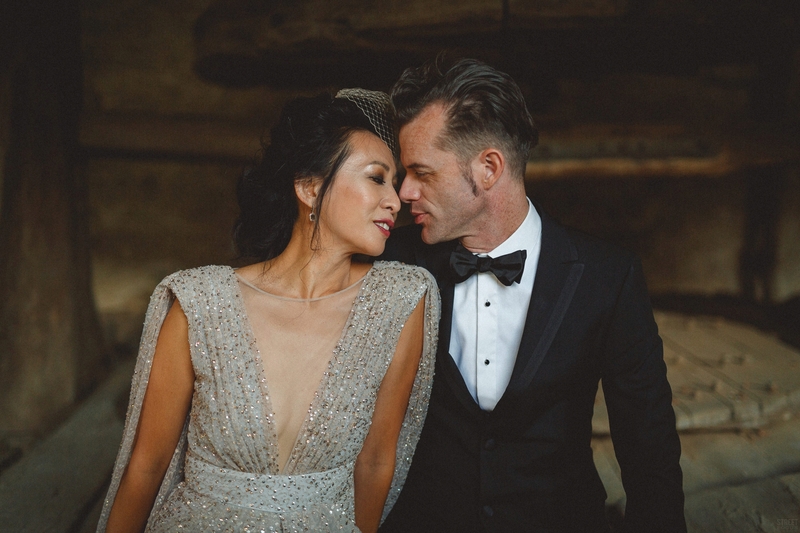 After seeing what awesome style they had at Joshua Tree, I just couldn’t wait for their big day. 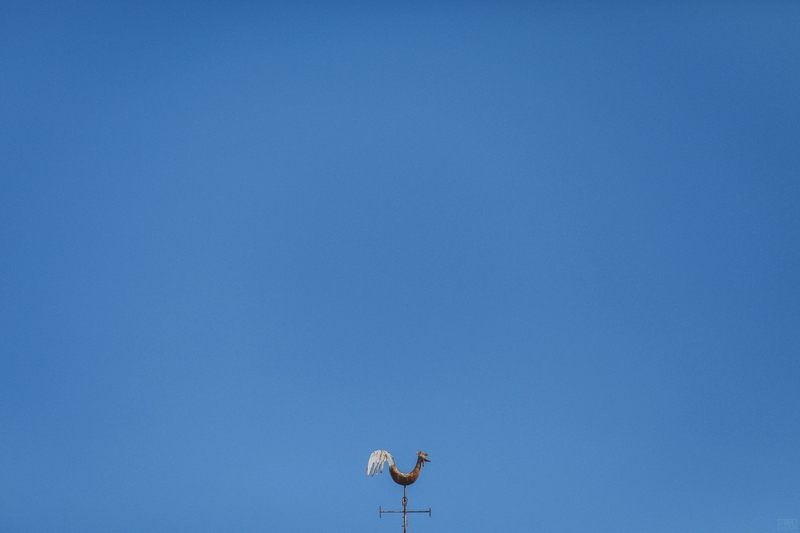 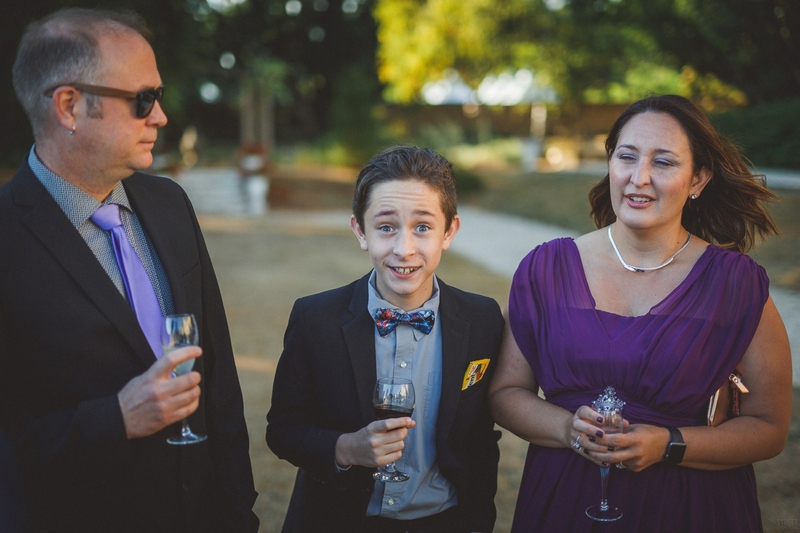 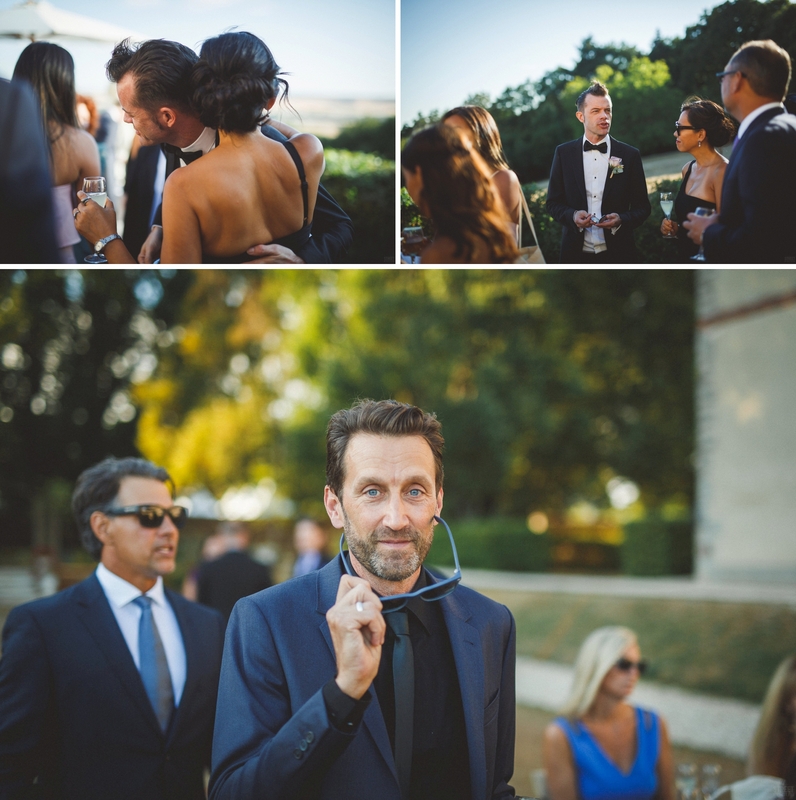 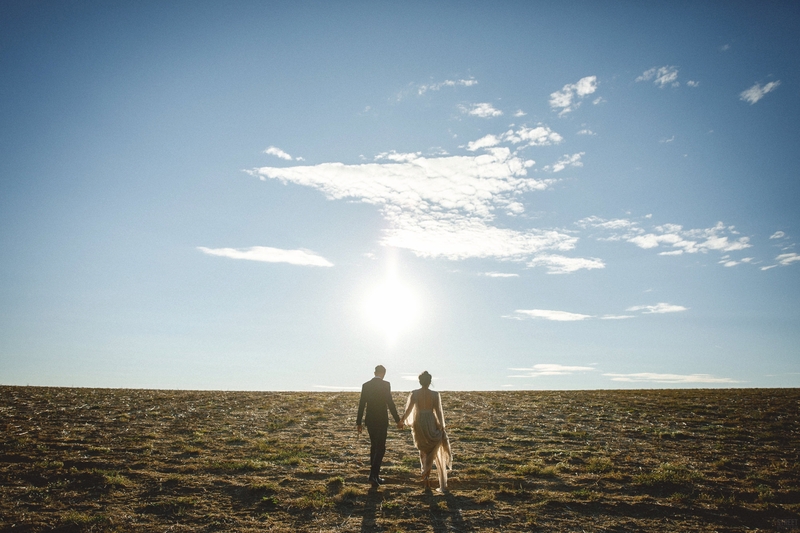 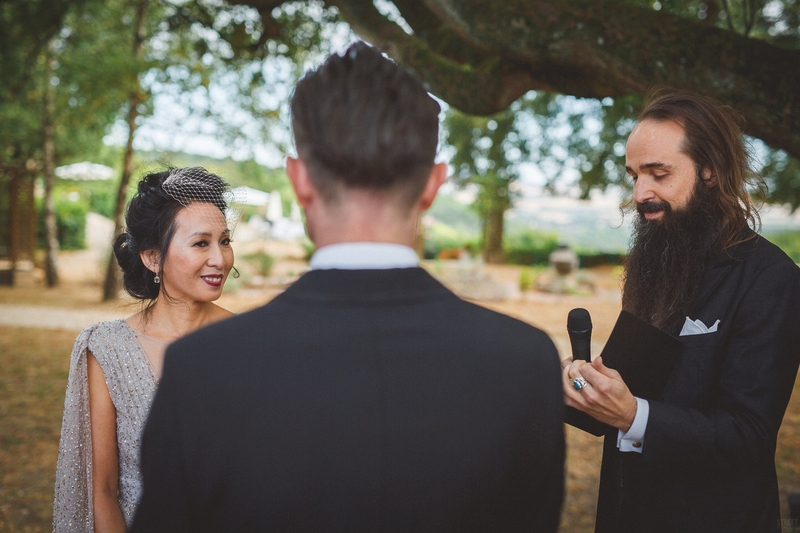 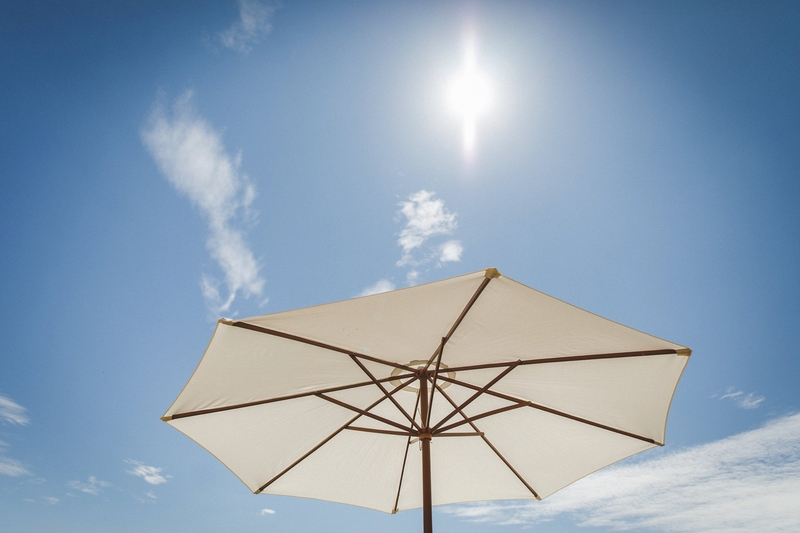 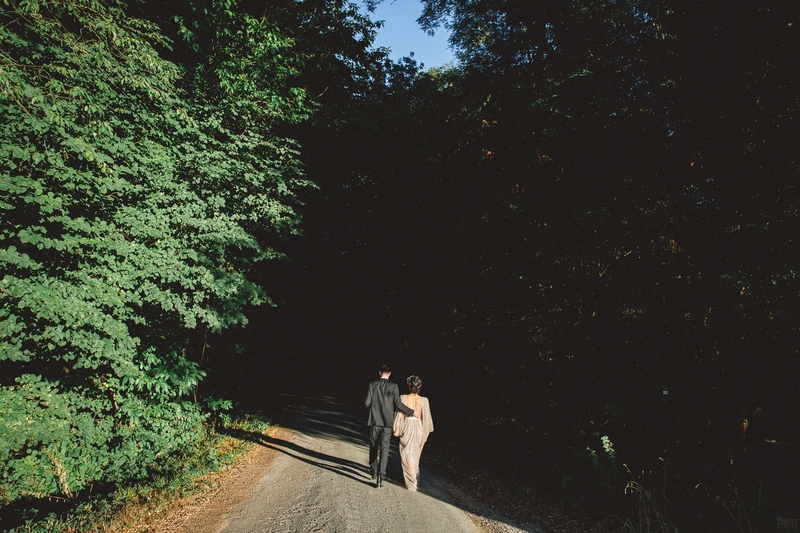 Well the big day finally arrived, in late August, and the weather was absolutely perfect. 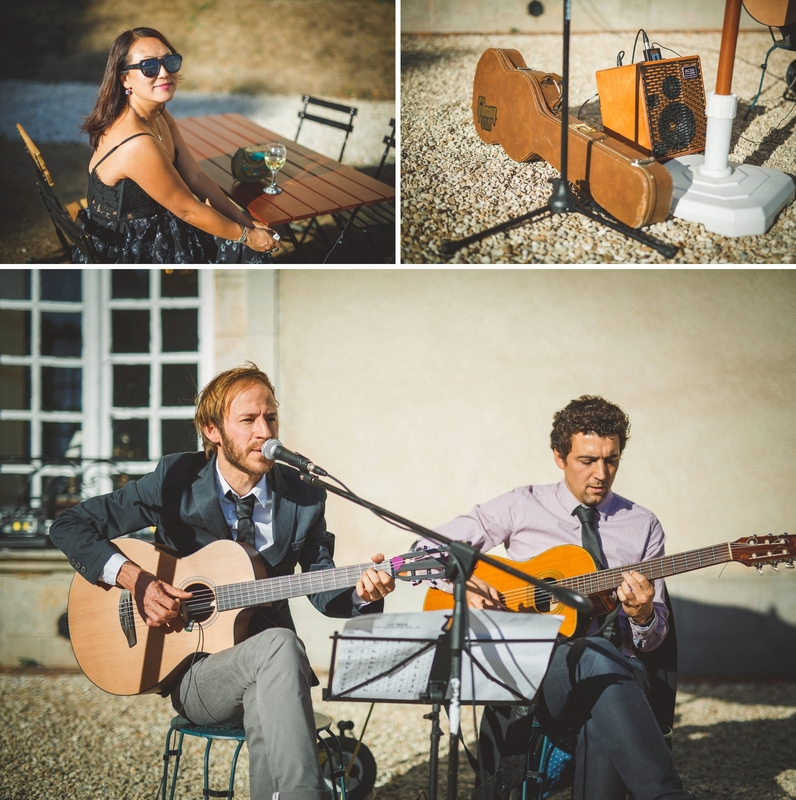 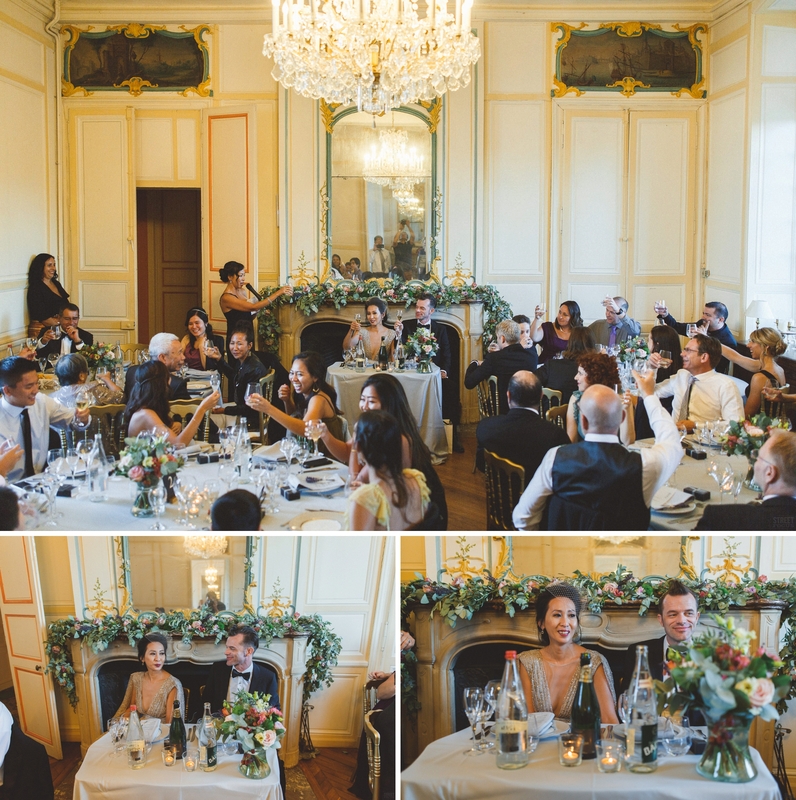 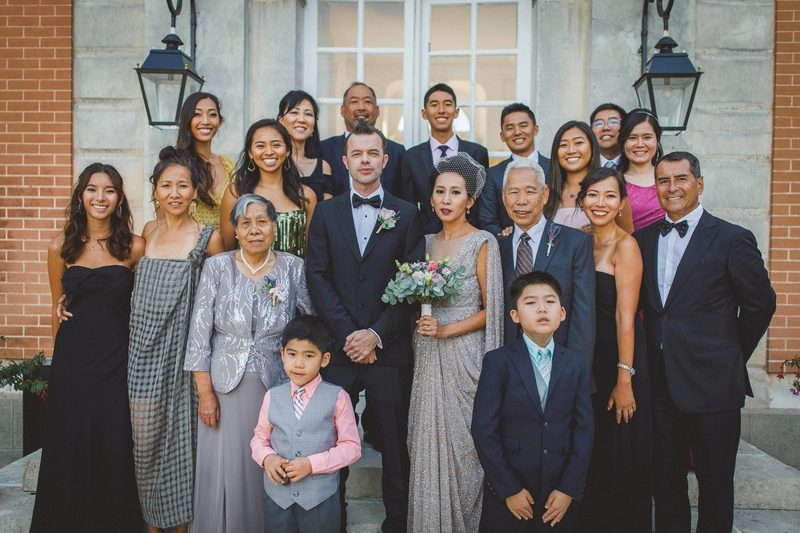 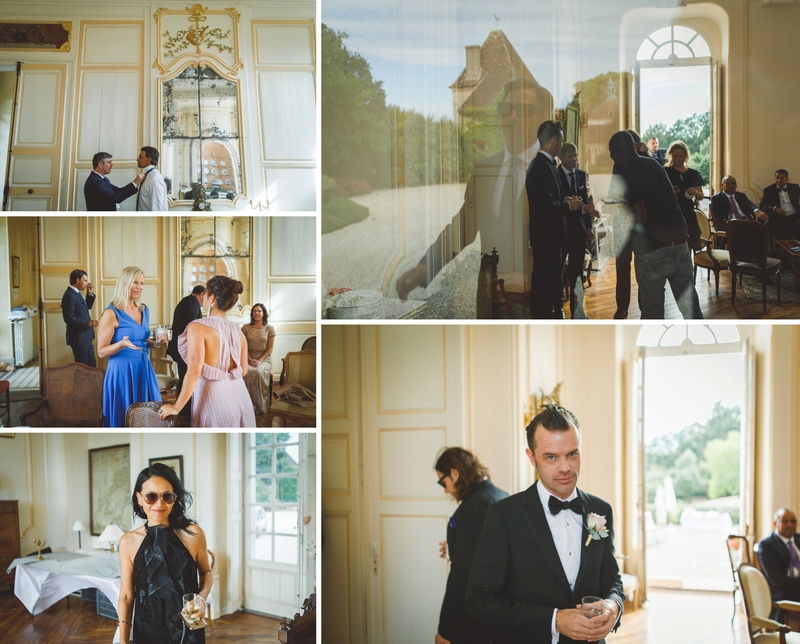 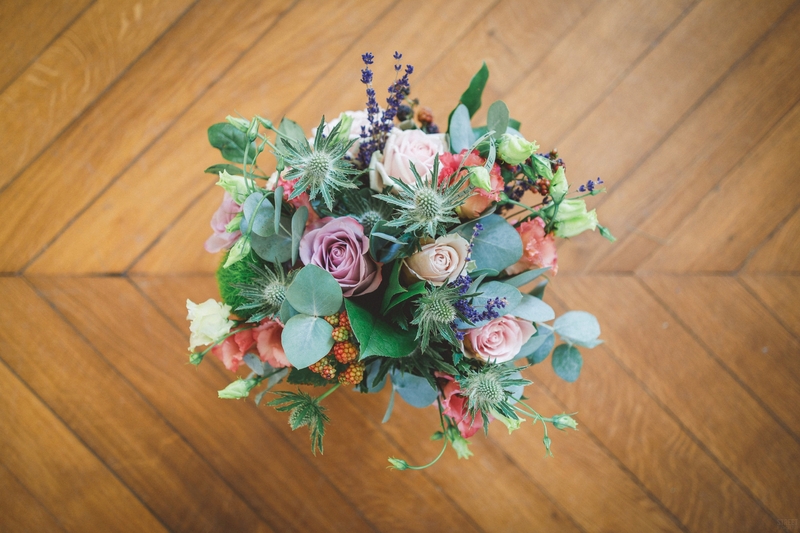 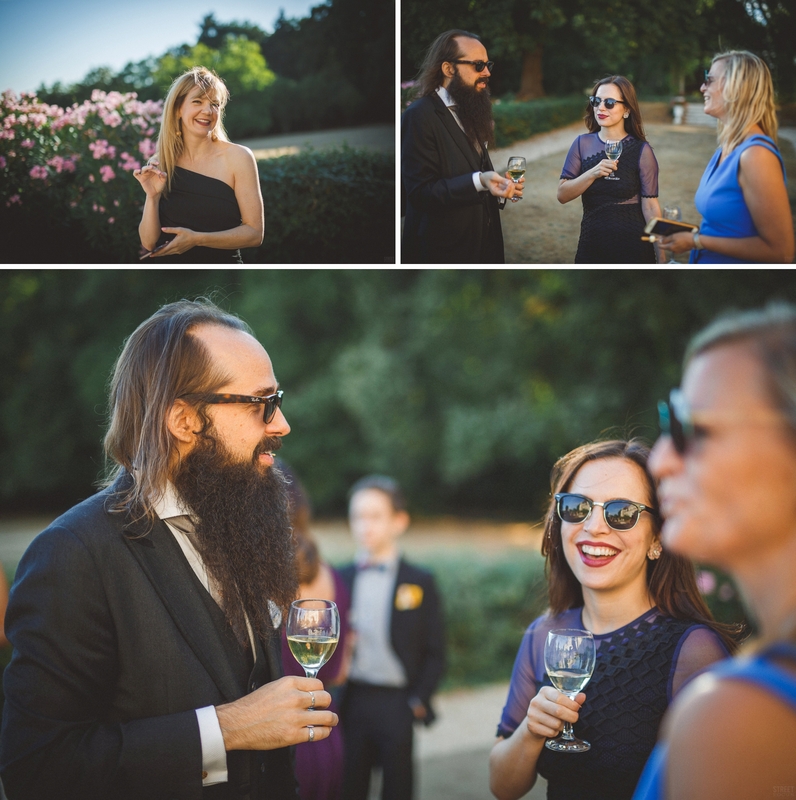 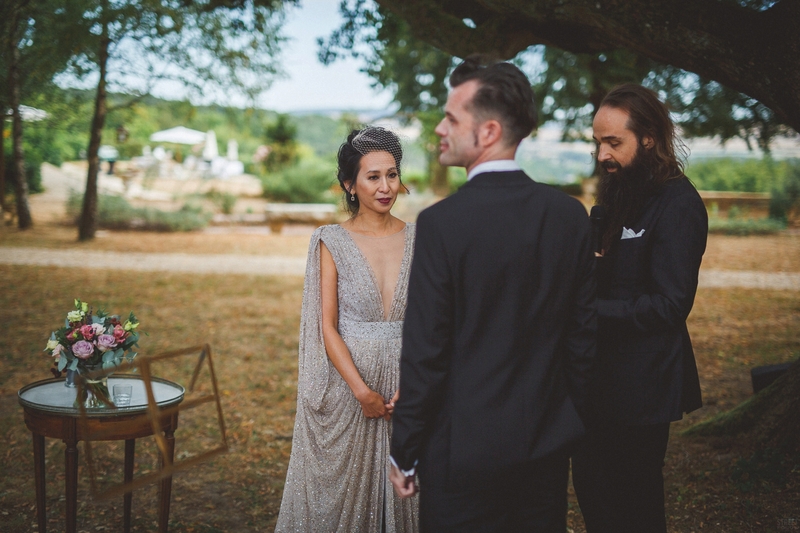 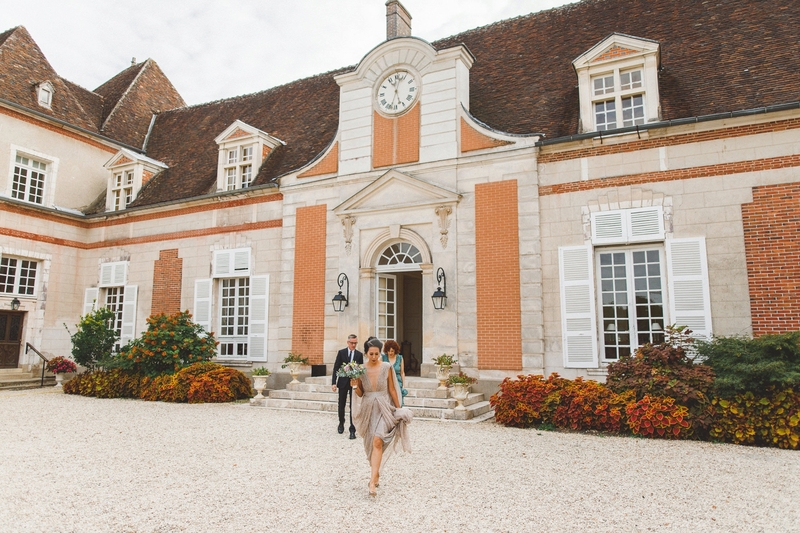 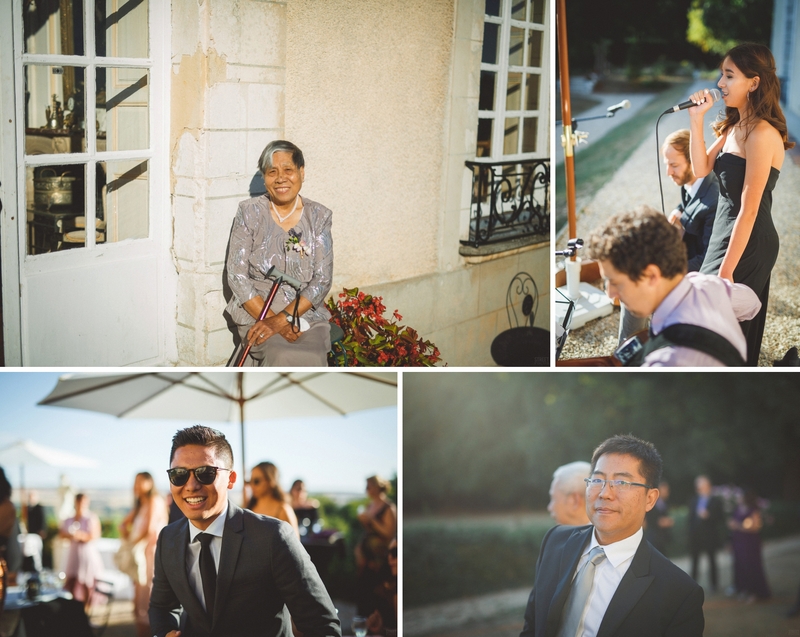 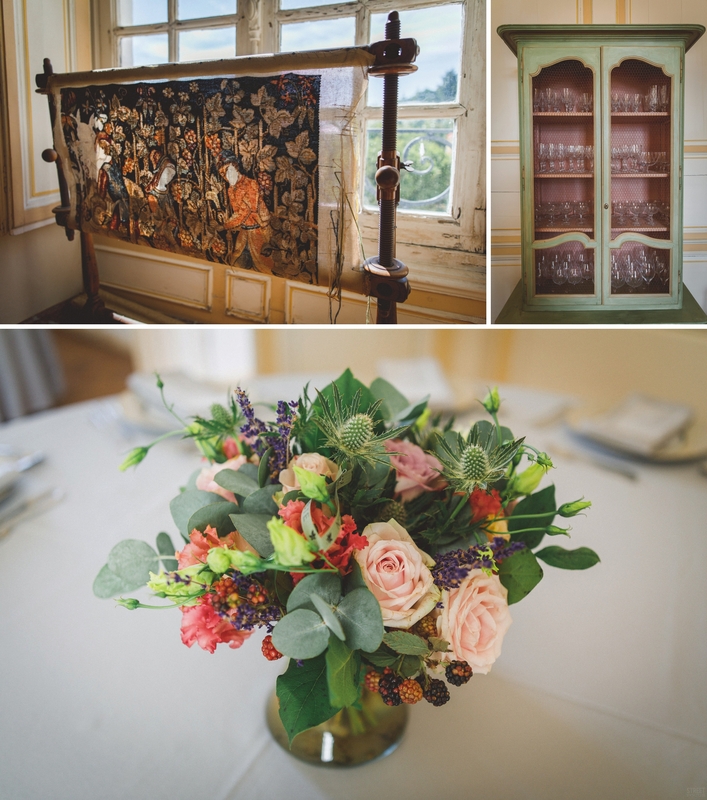 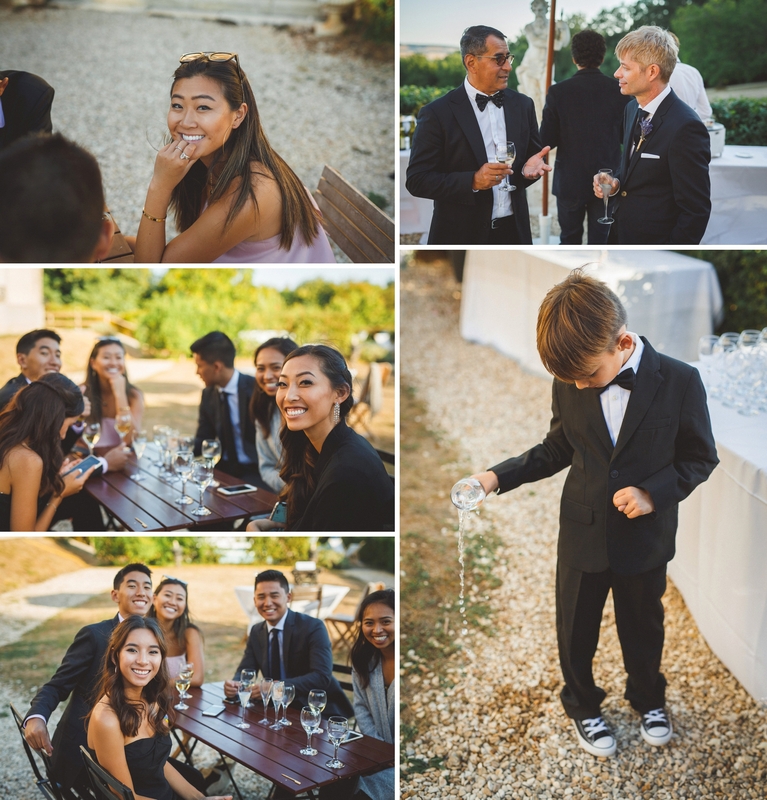 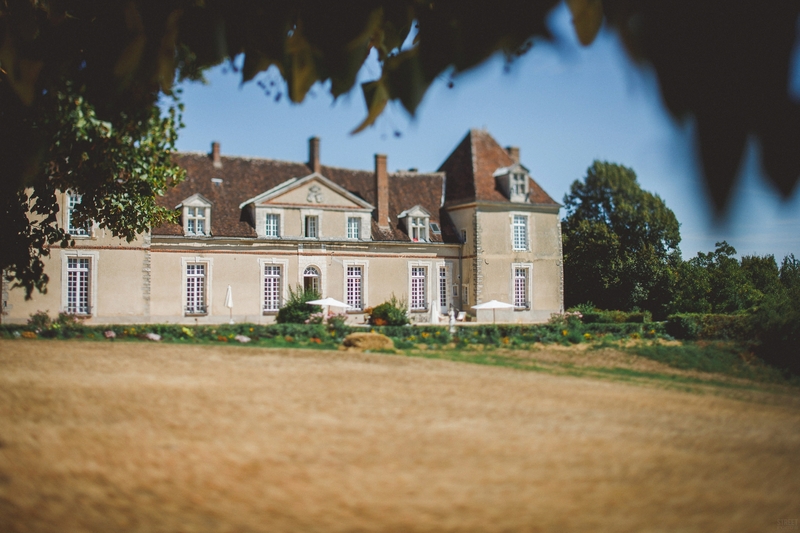 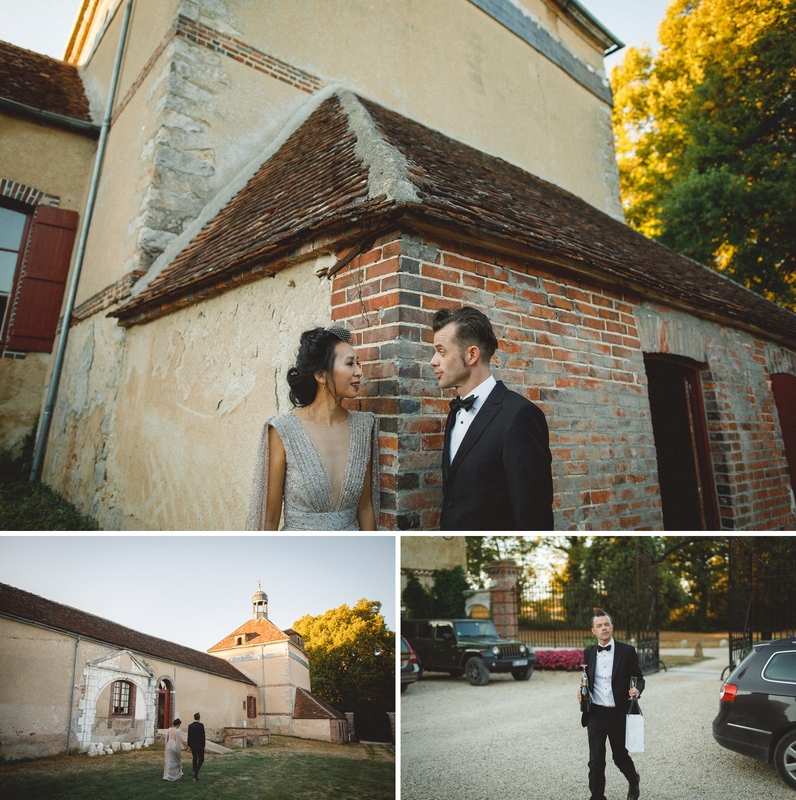 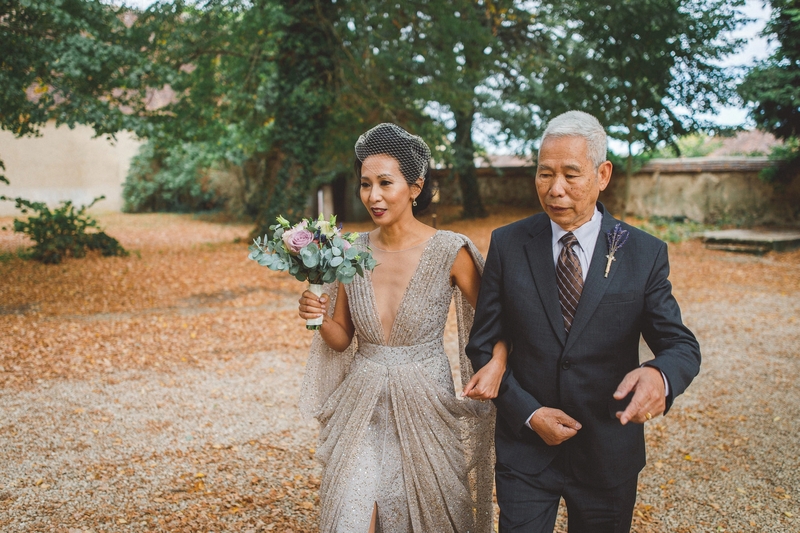 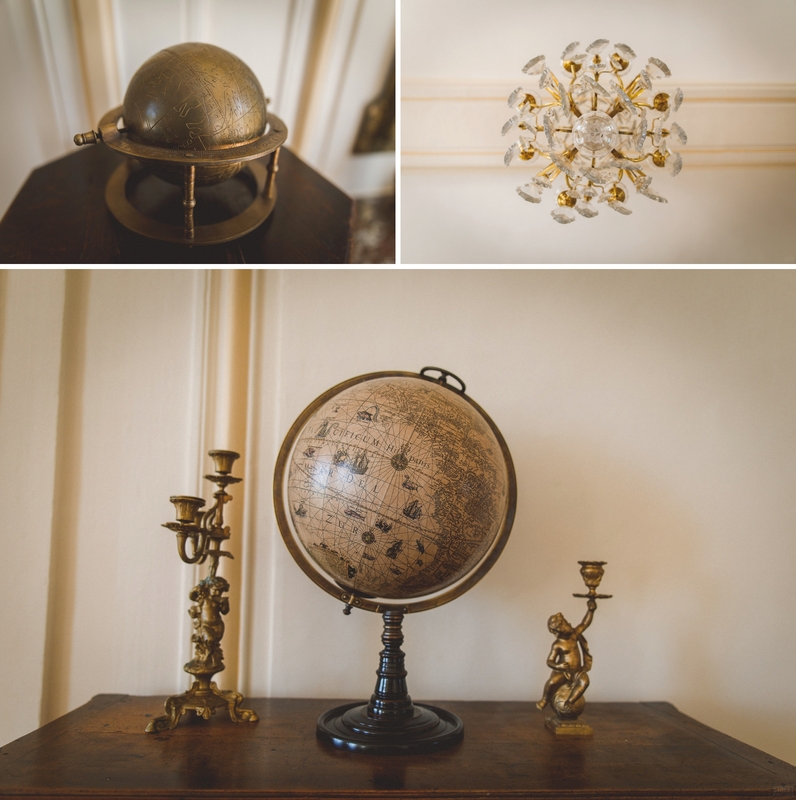 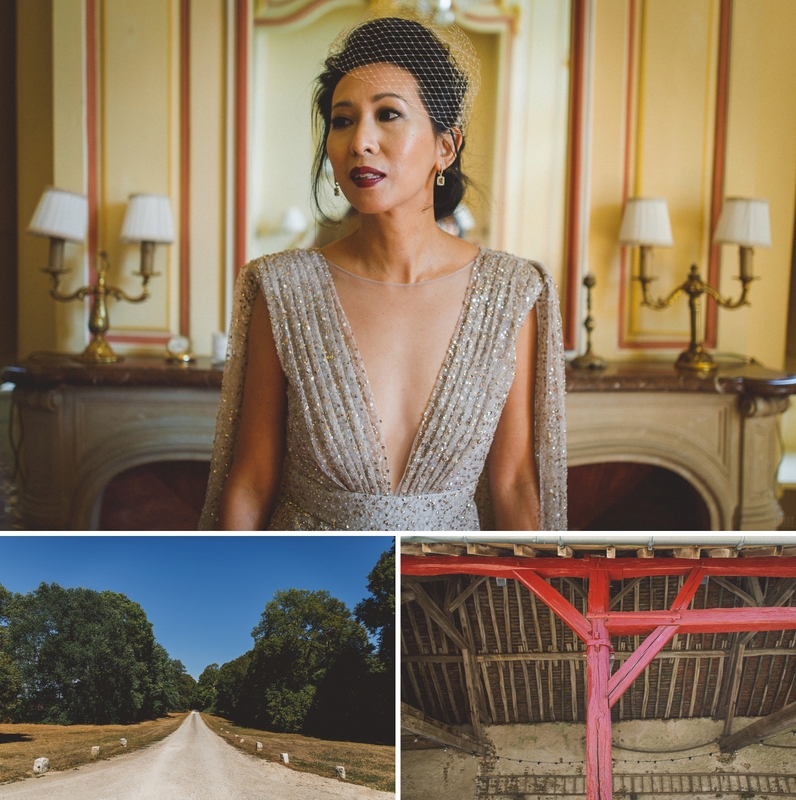 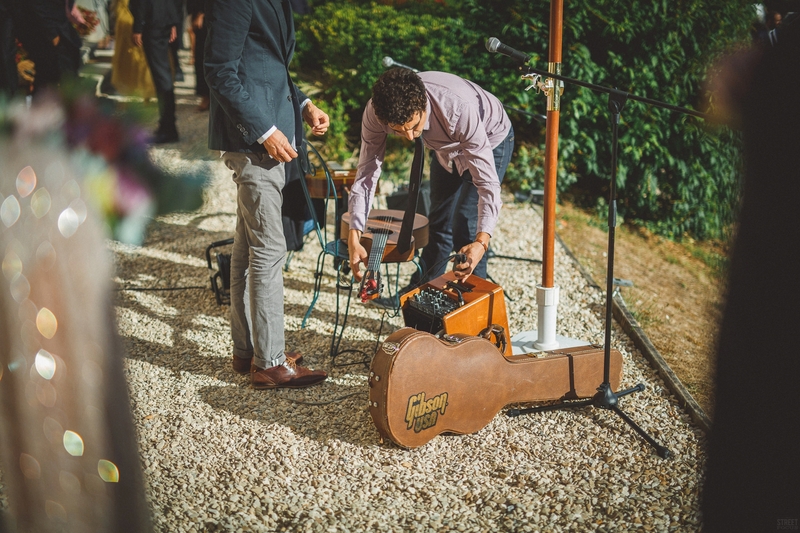 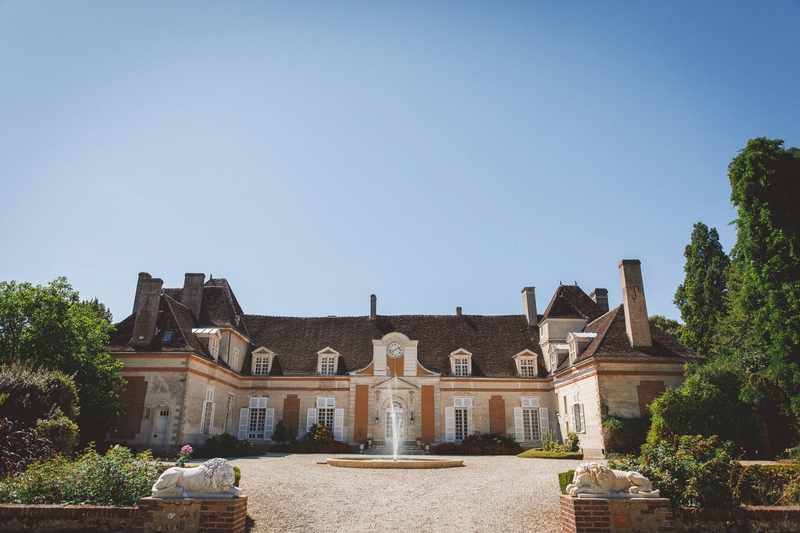 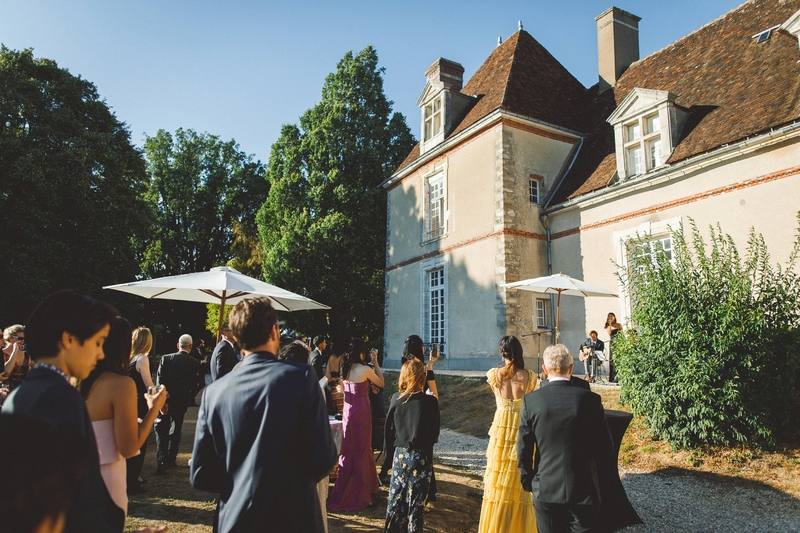 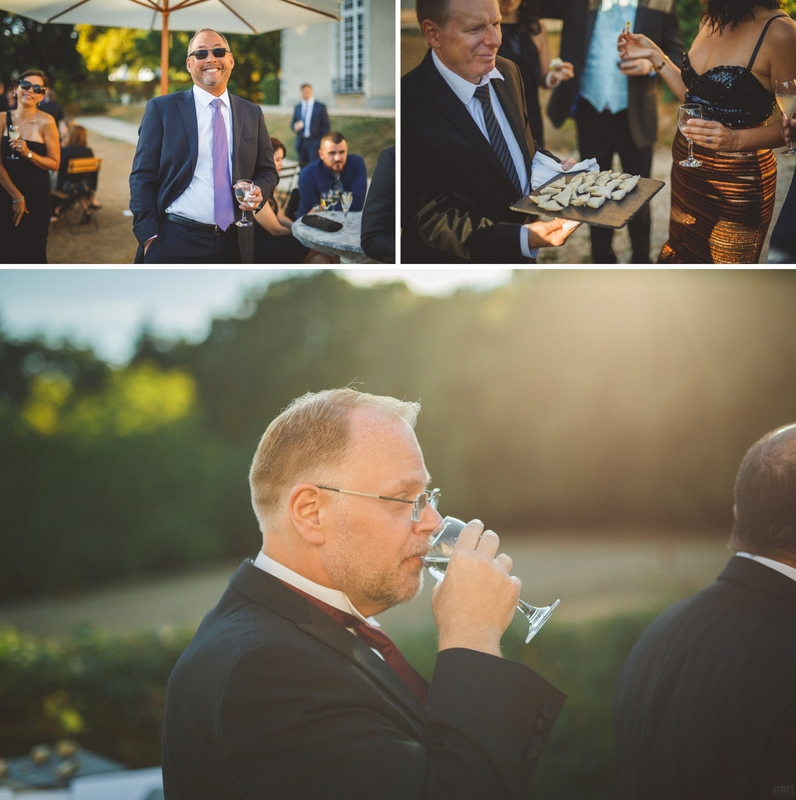 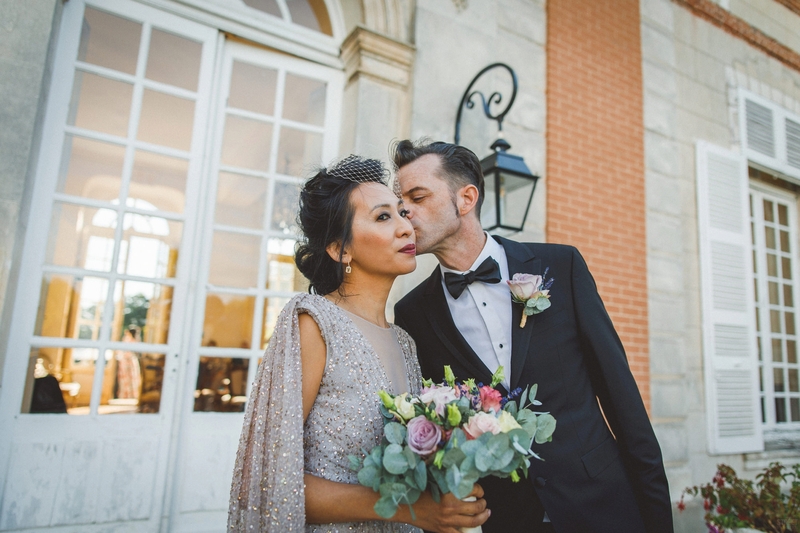 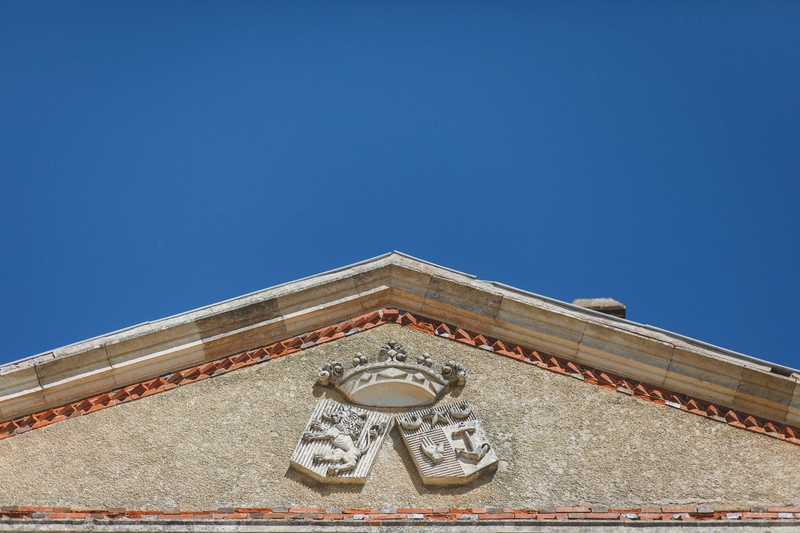 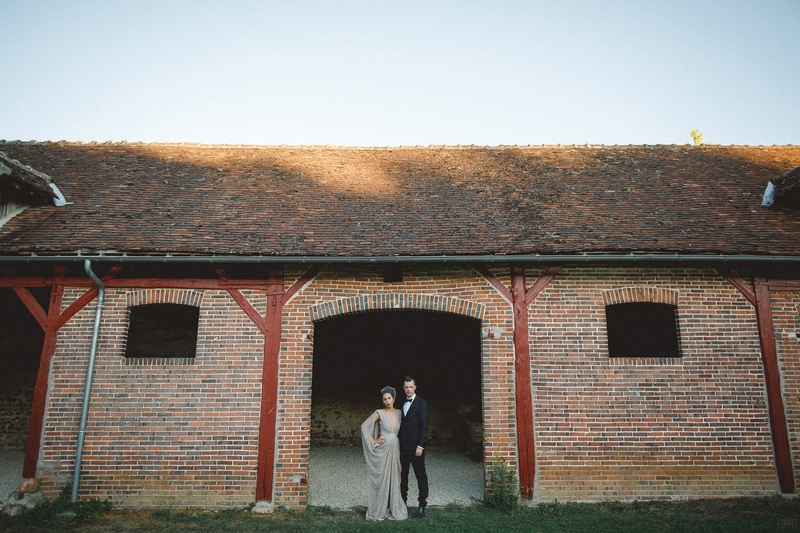 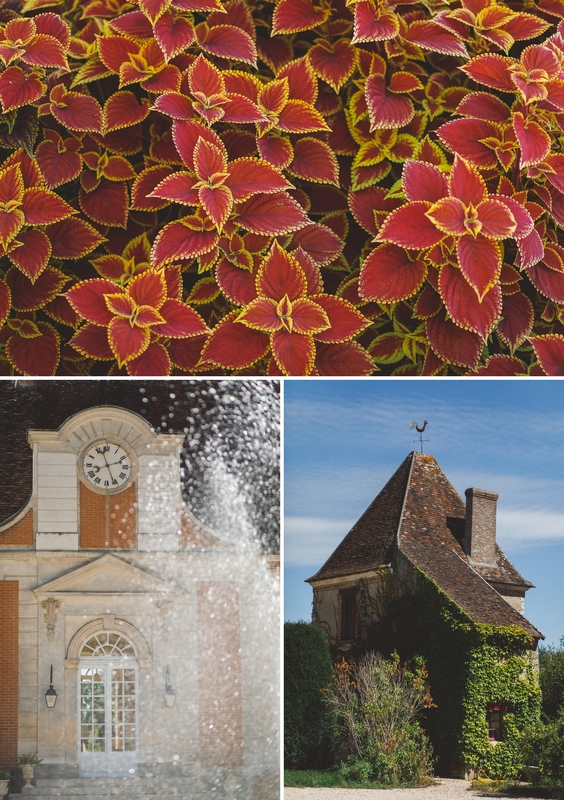 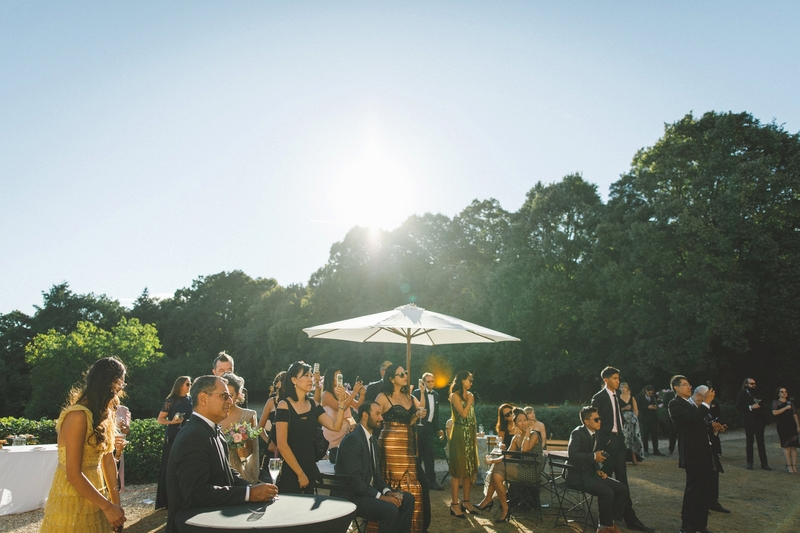 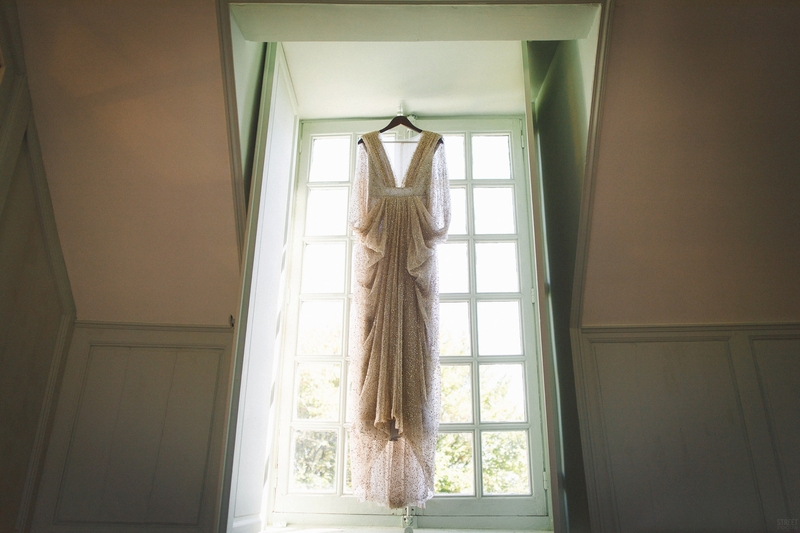 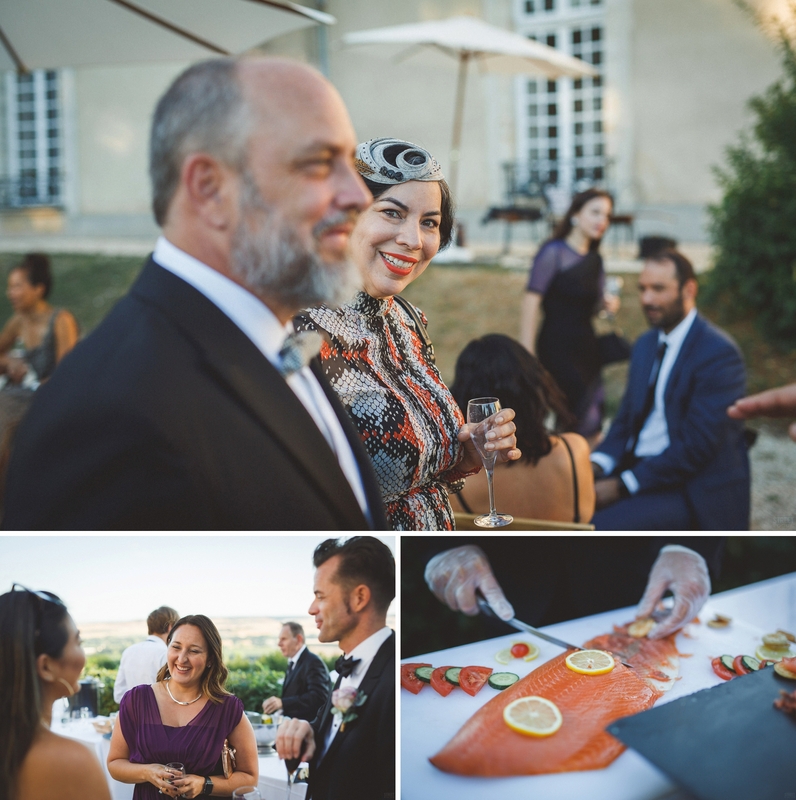 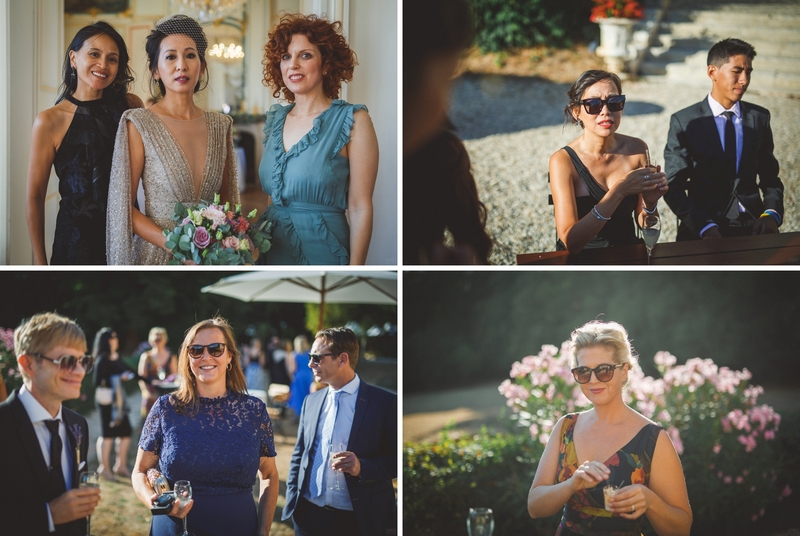 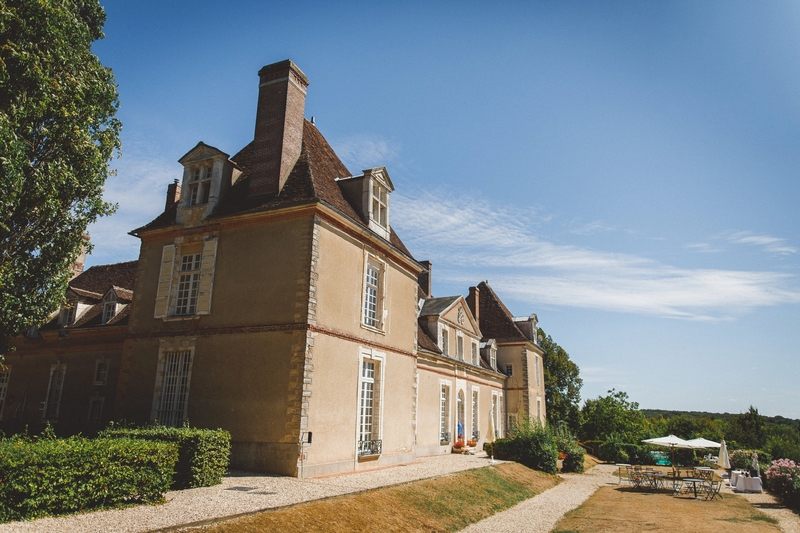 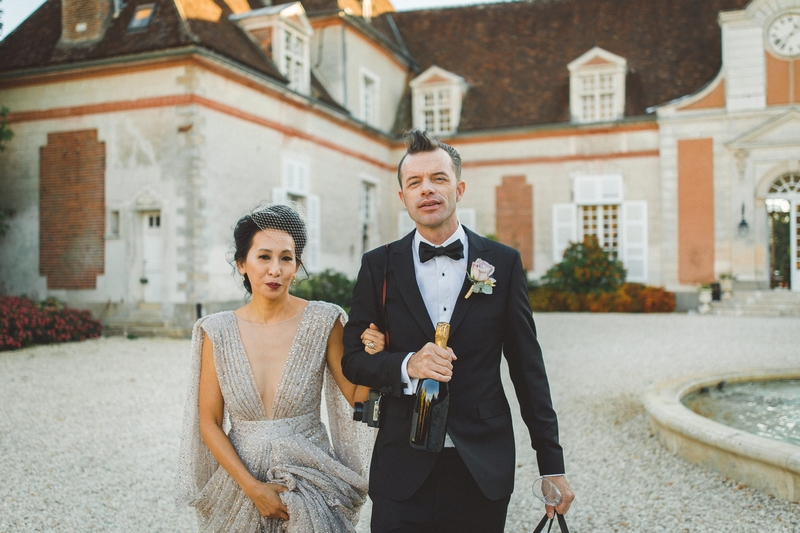 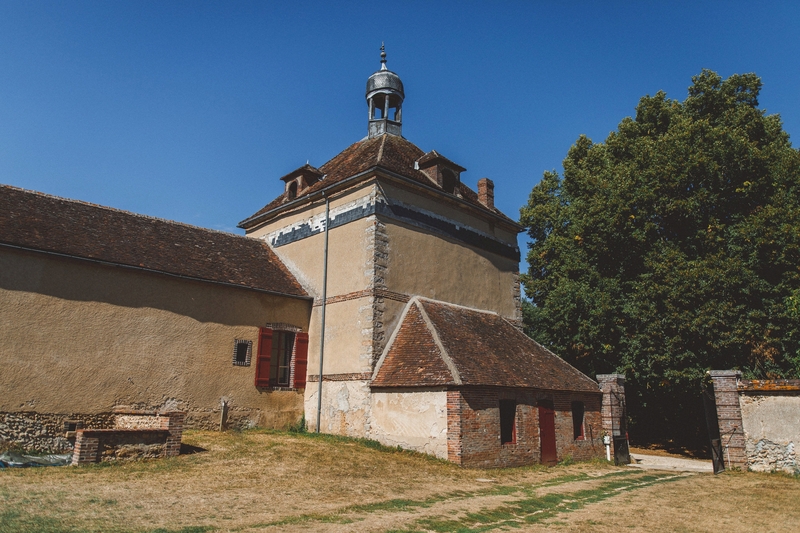 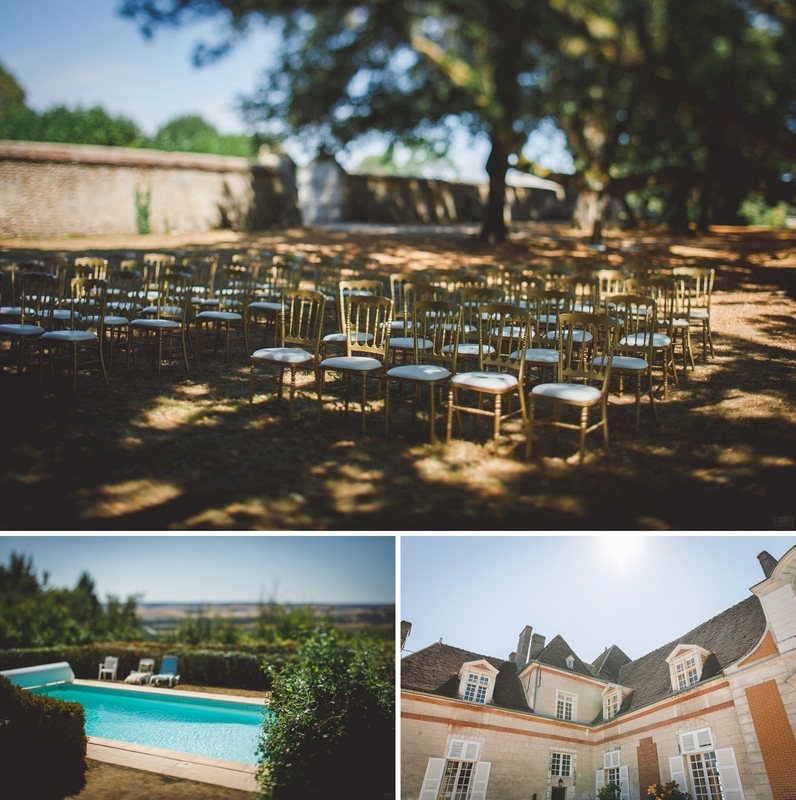 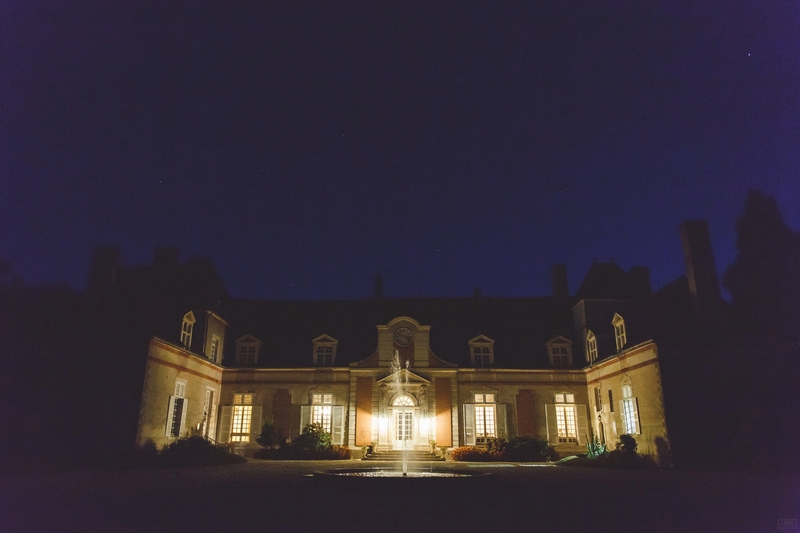 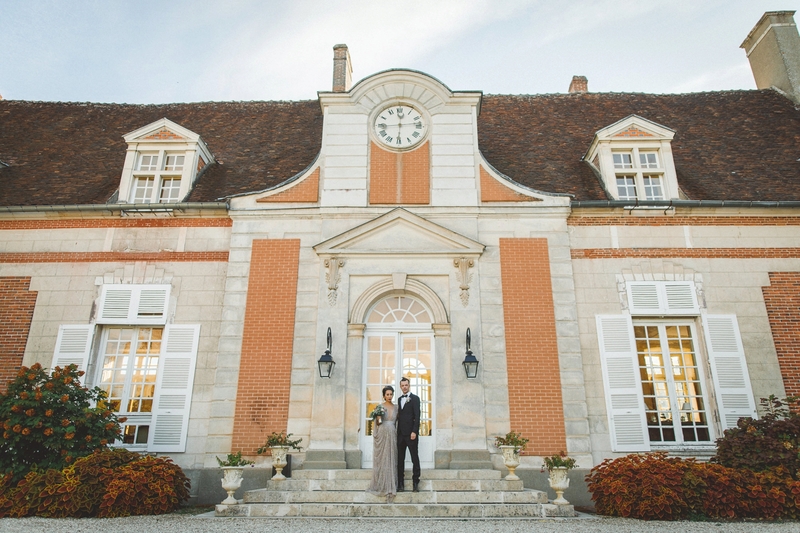 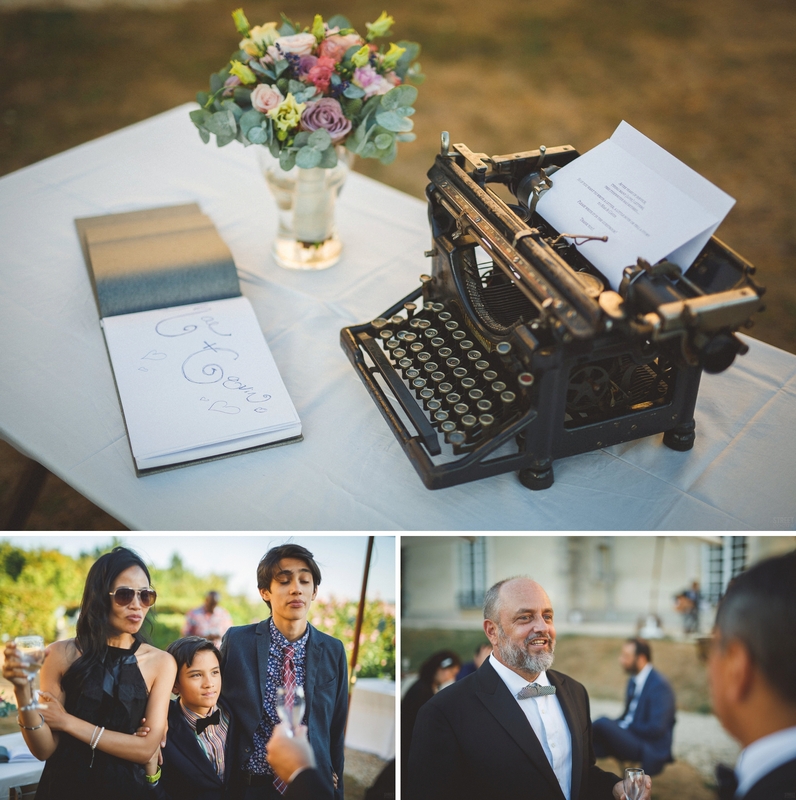 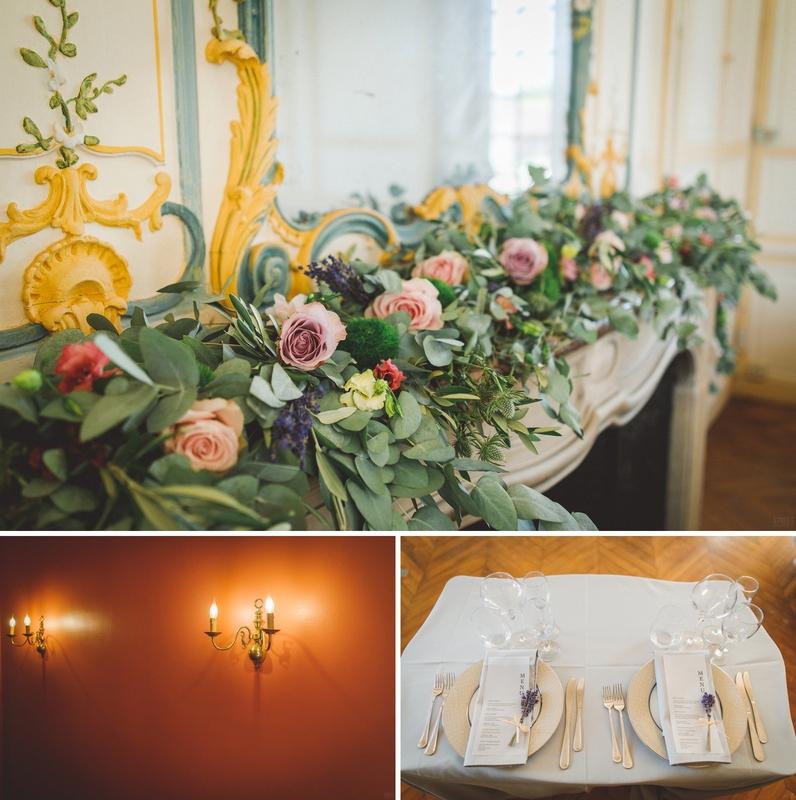 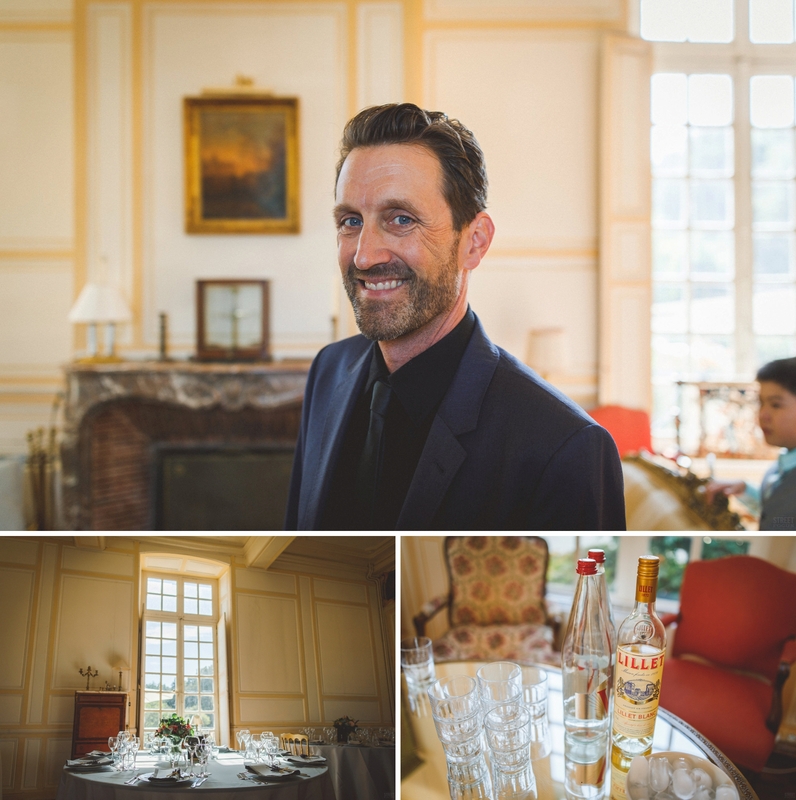 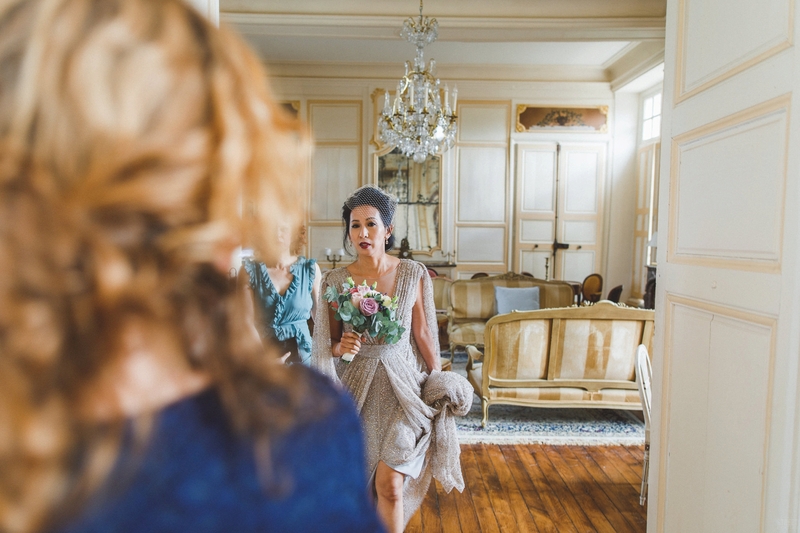 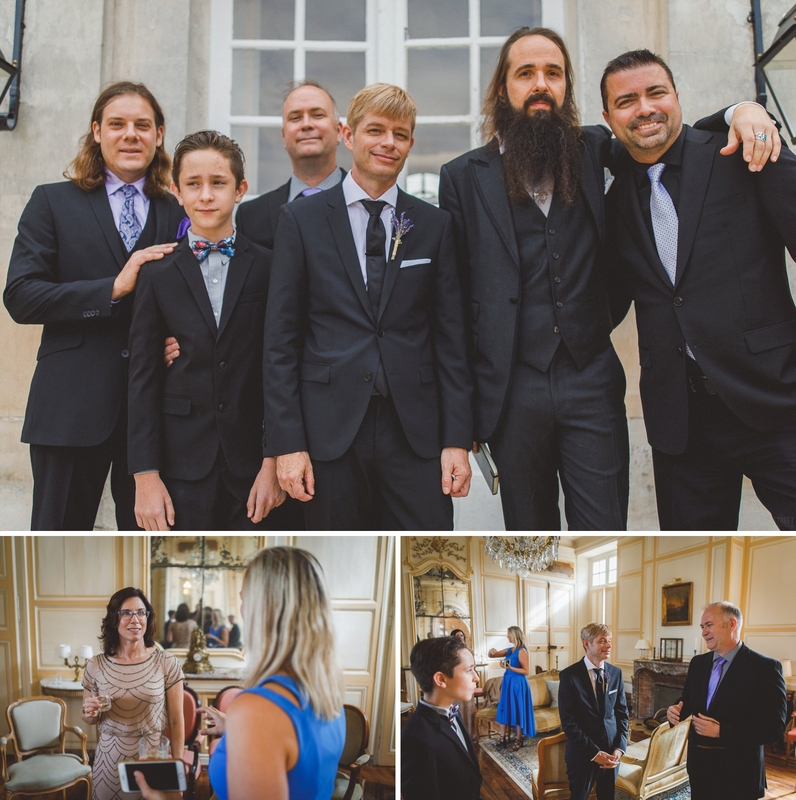 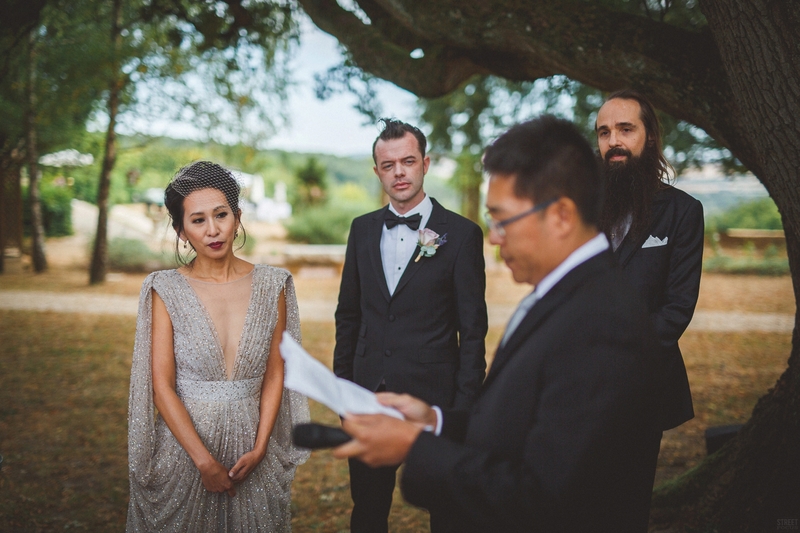 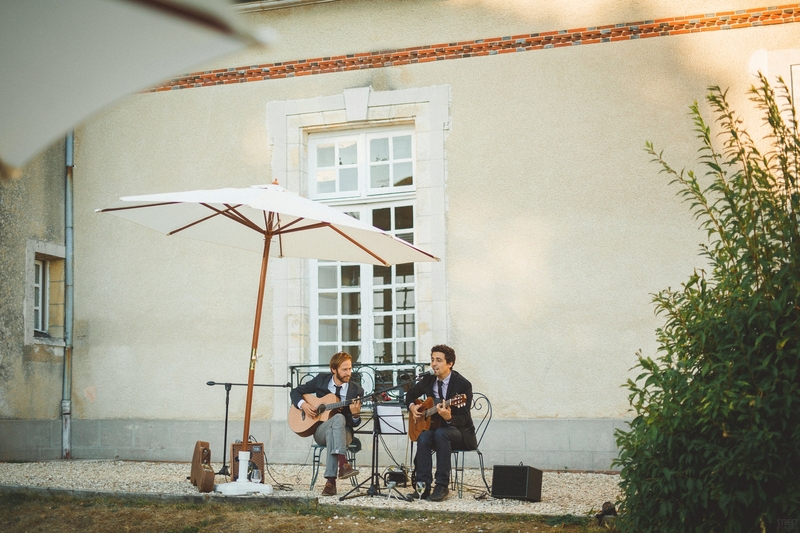 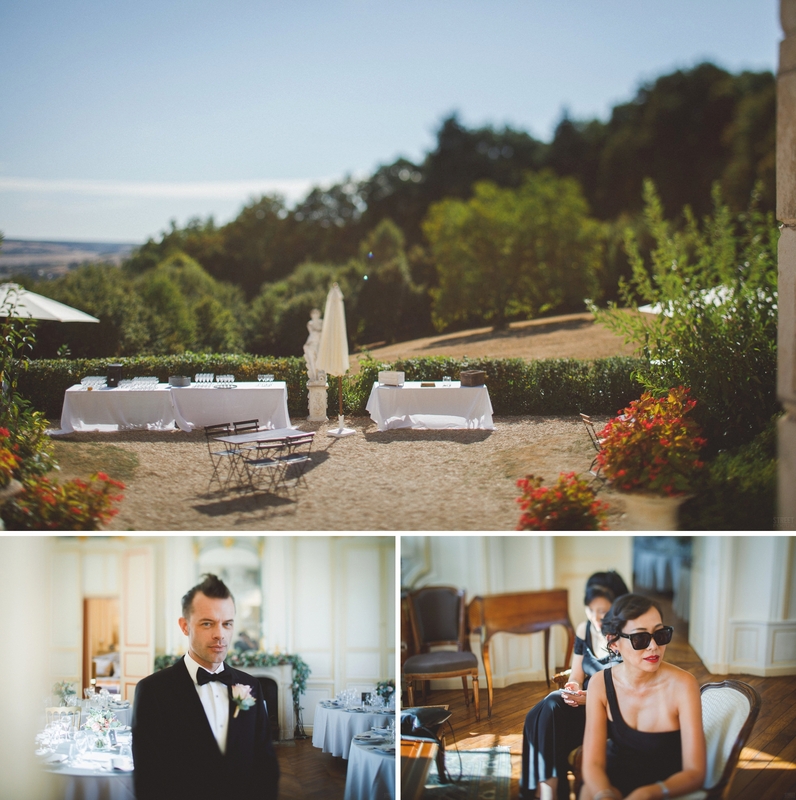 They decided to organize the venue in the French Burgundy region at the Chateau du Feÿ, a beautifully restored 17th century estate. 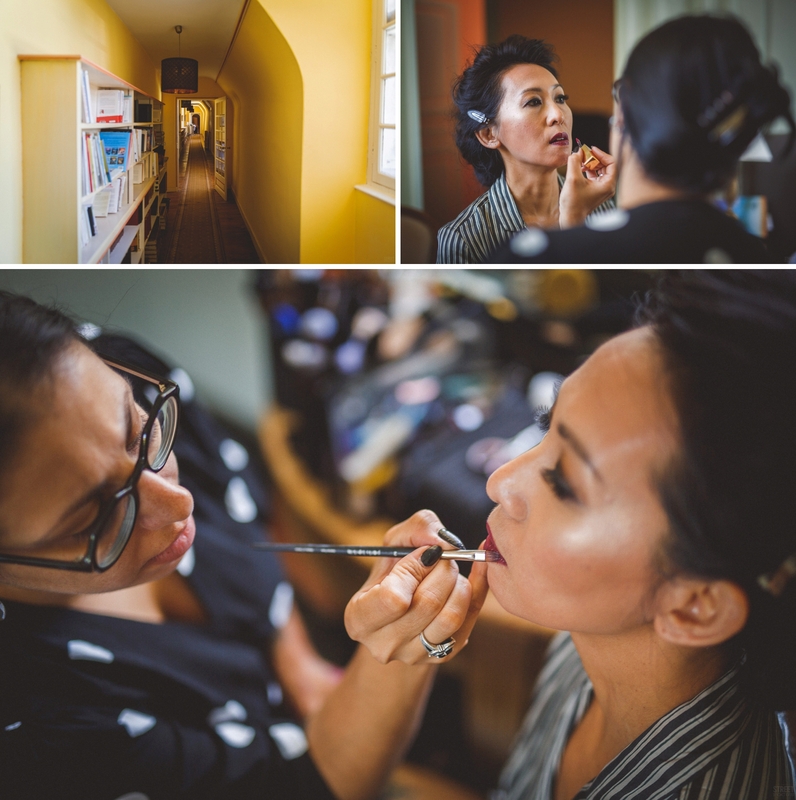 As Mae got ready, I wandered around the estate, shooting the scenery, and went to see the guys who were also getting ready and having a lot fun! 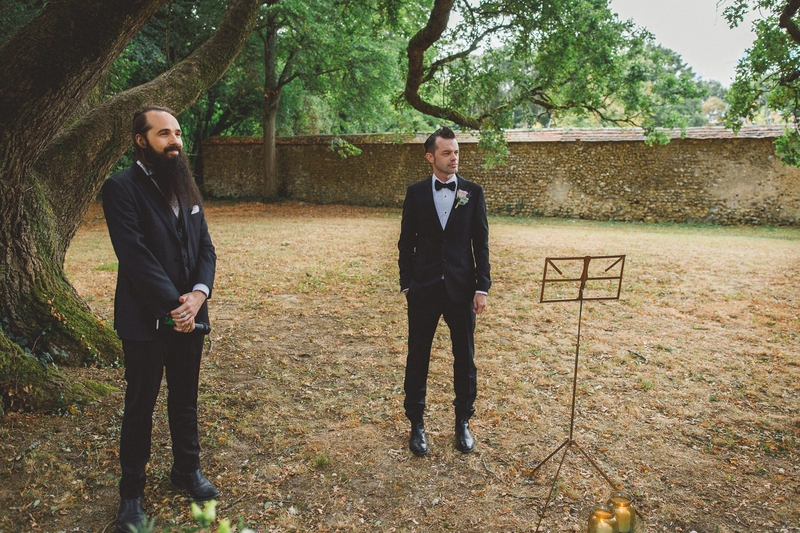 Then it was time for the ceremony. 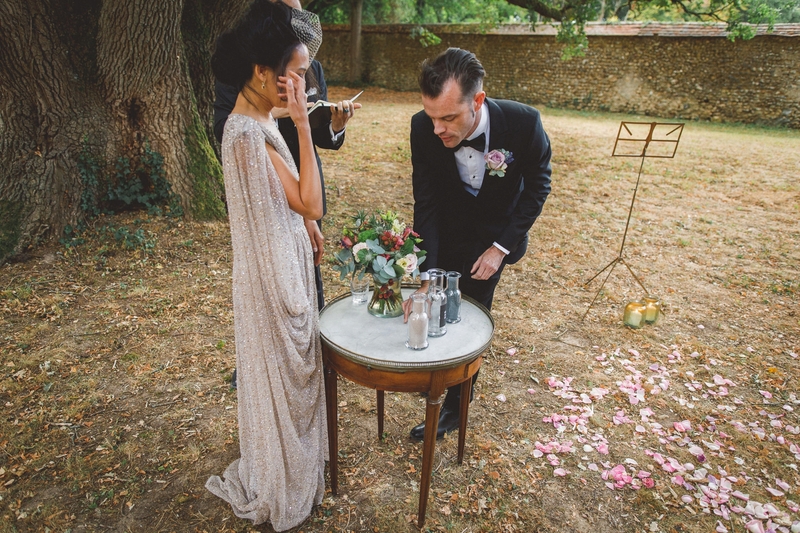 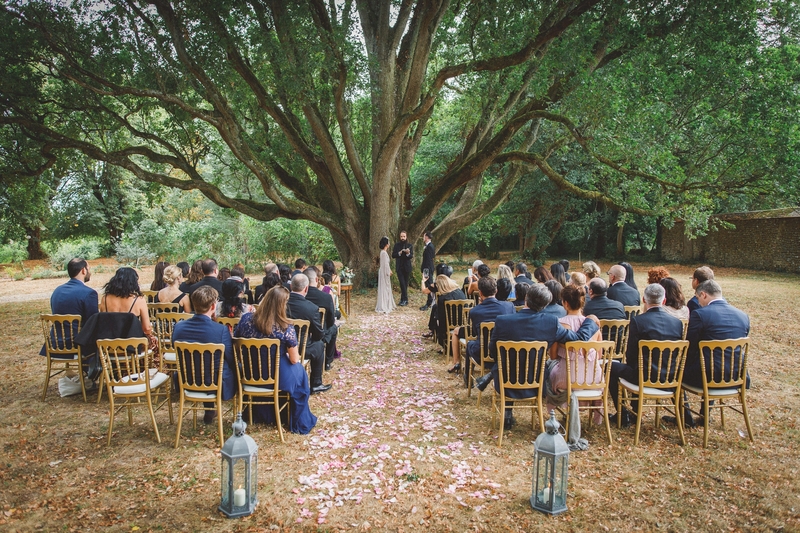 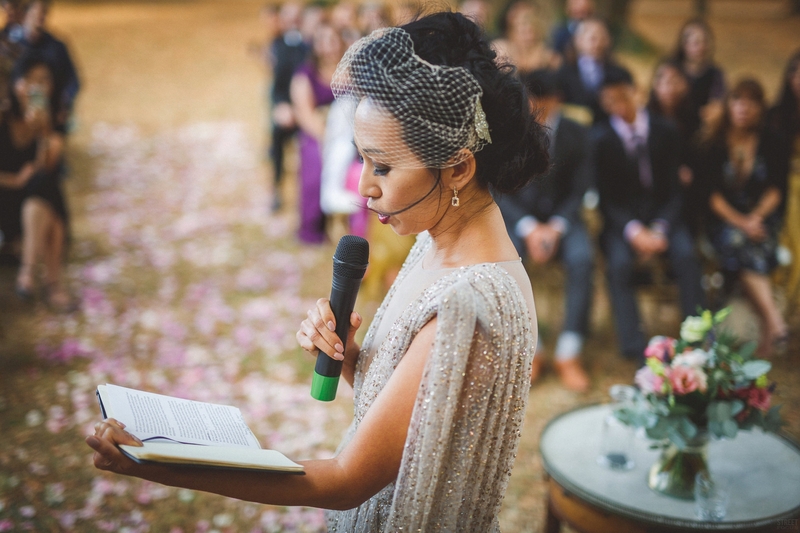 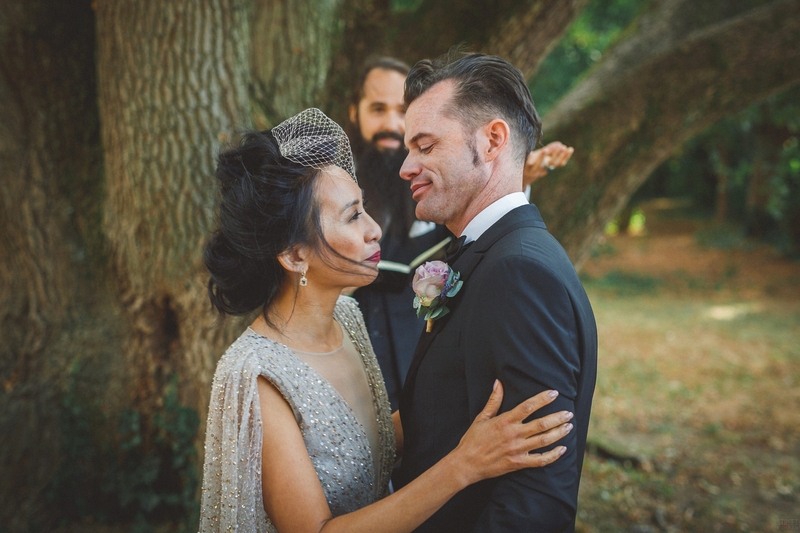 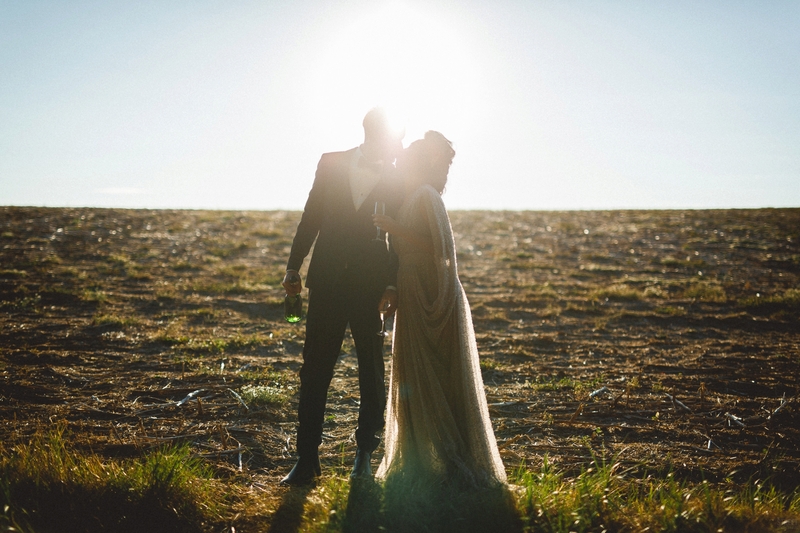 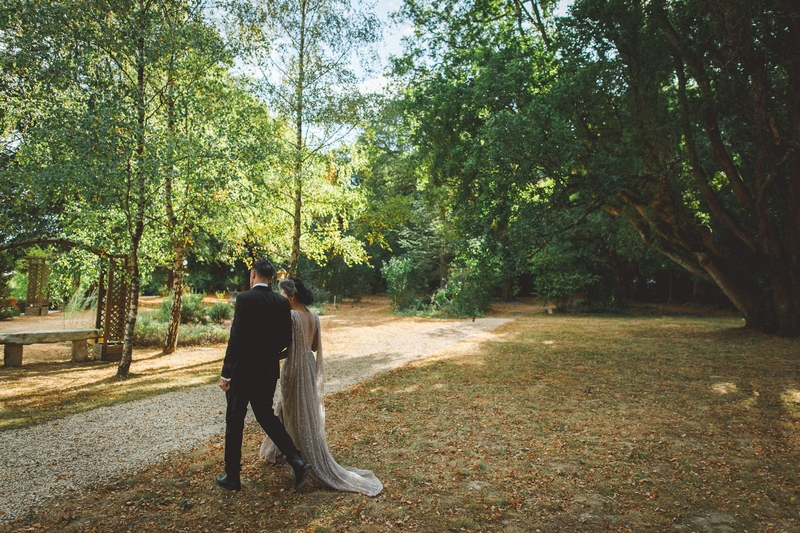 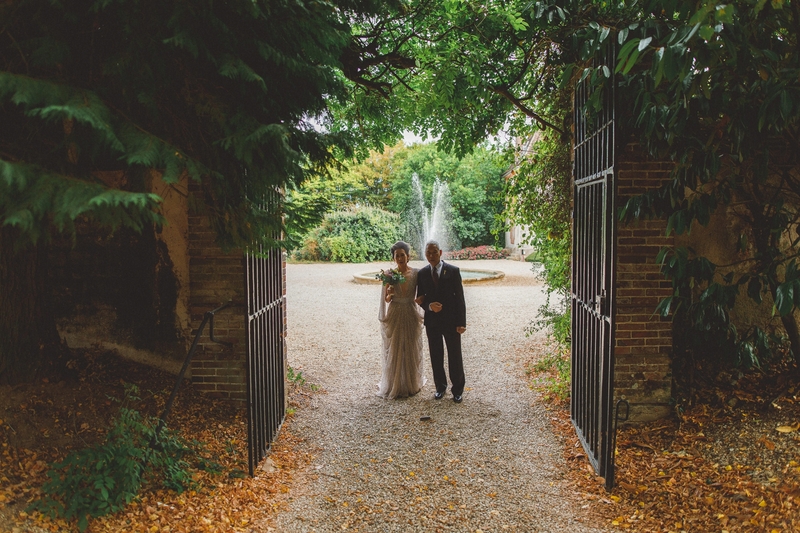 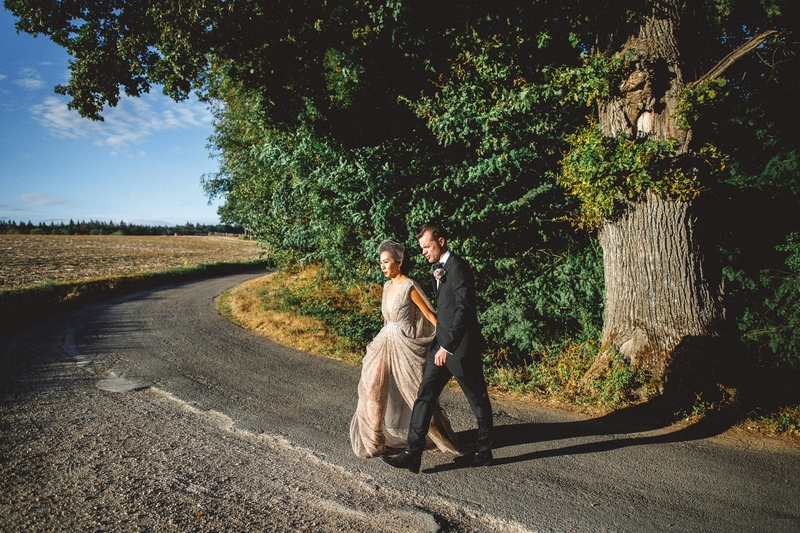 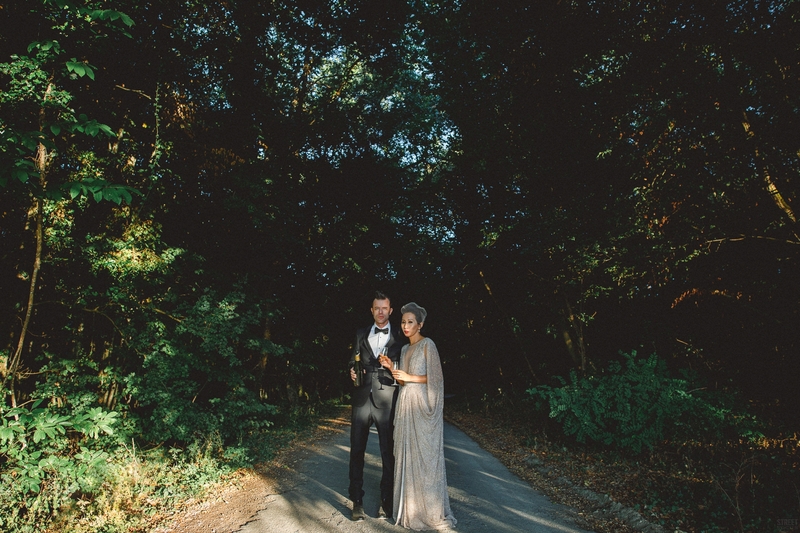 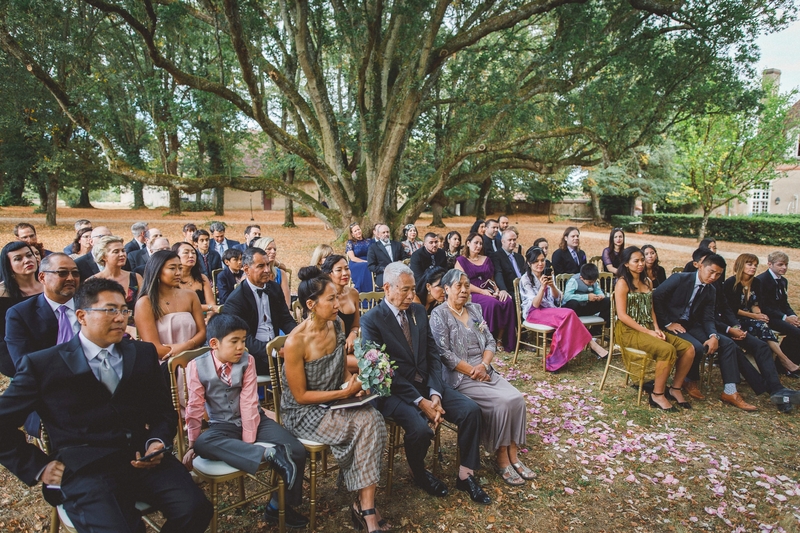 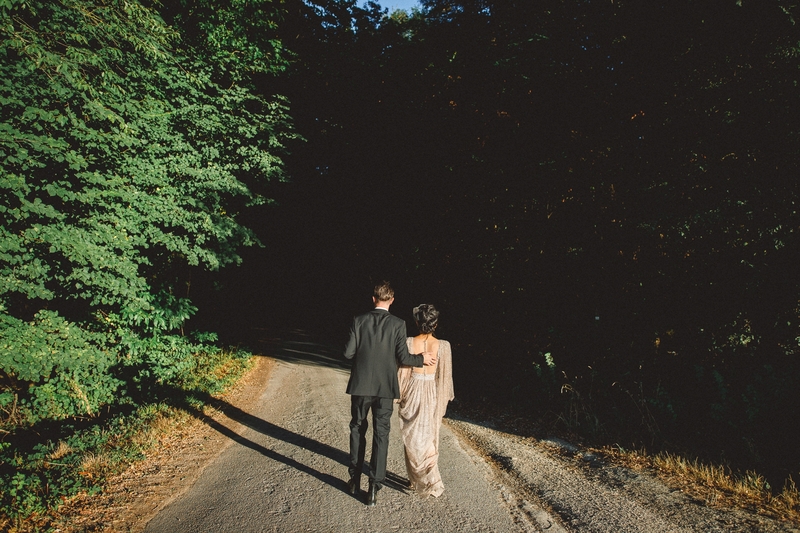 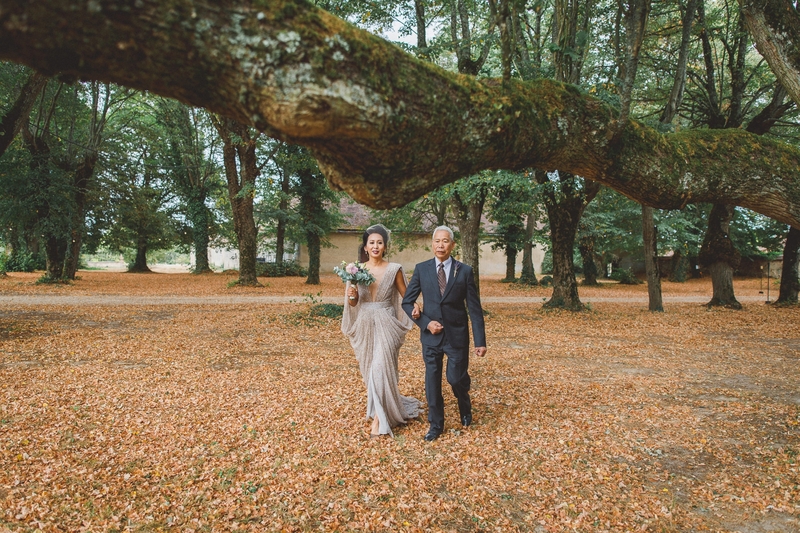 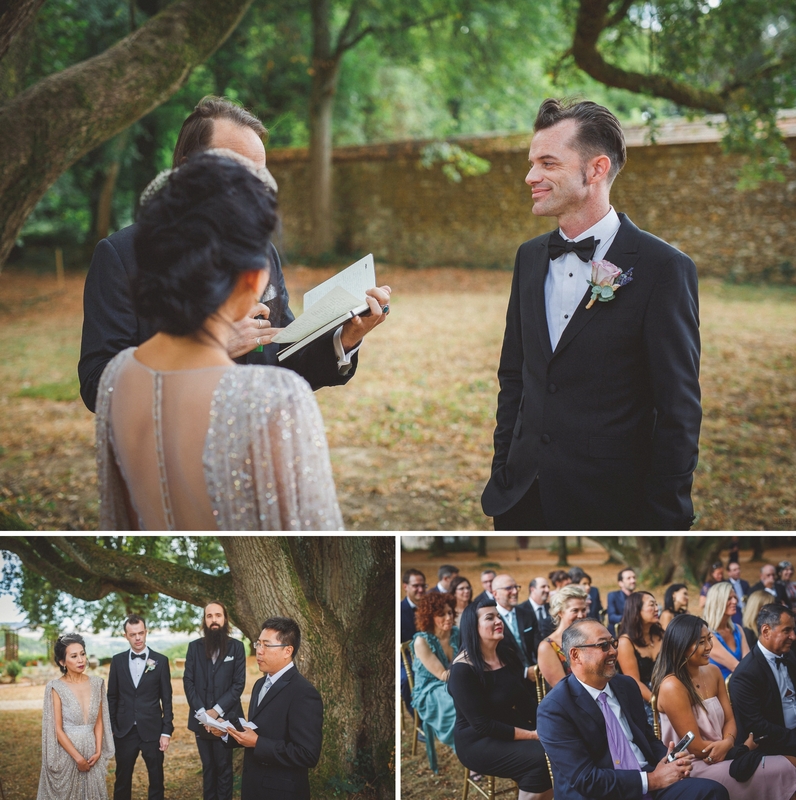 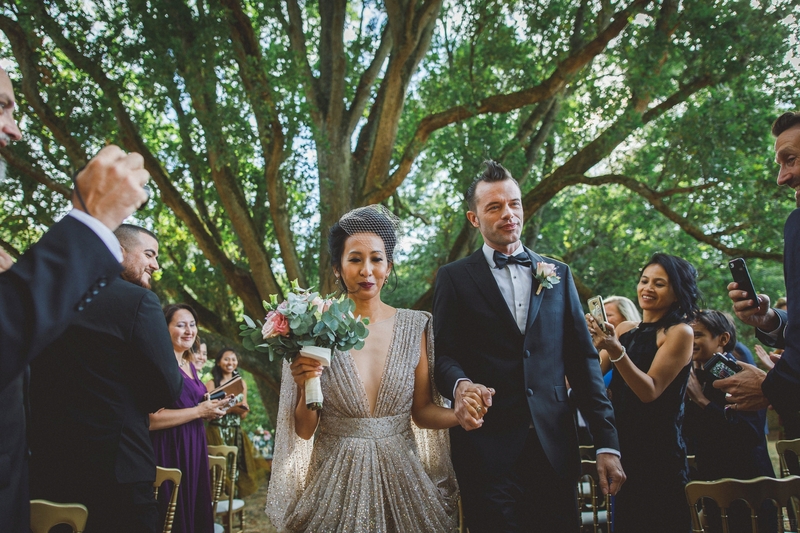 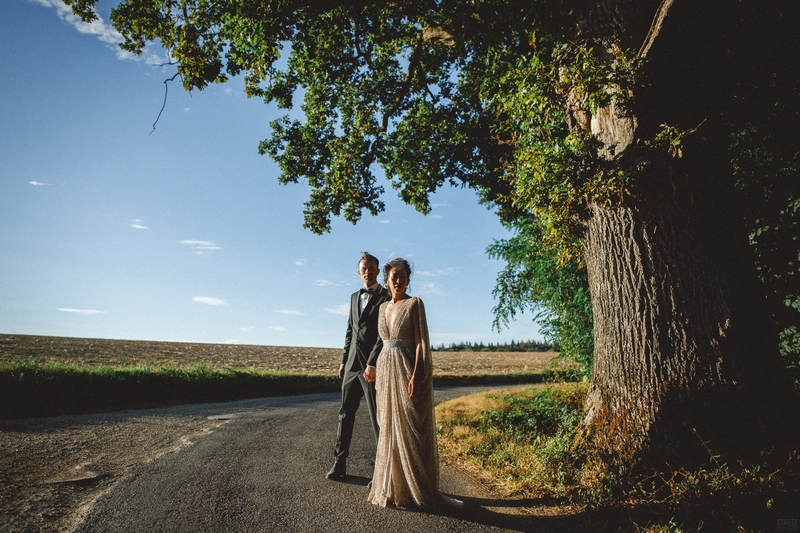 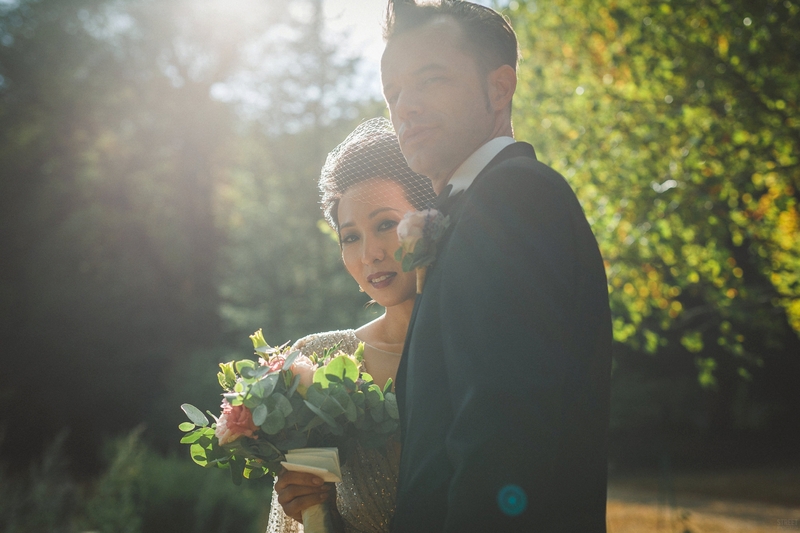 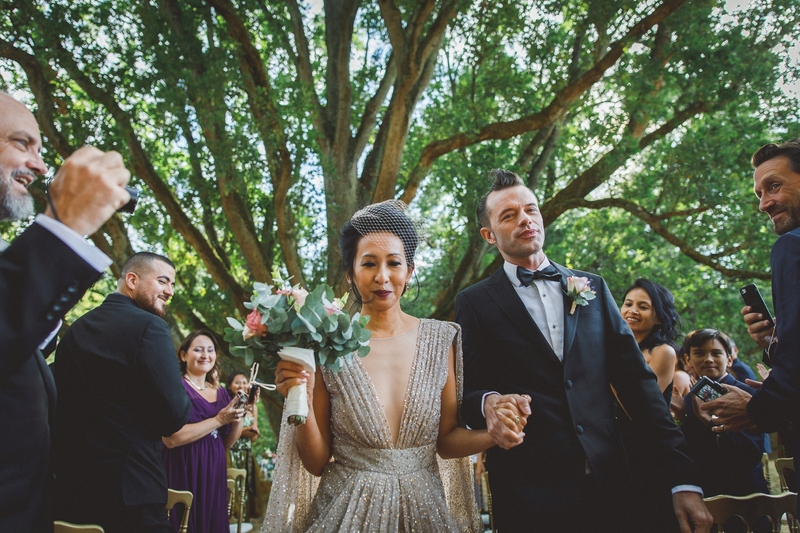 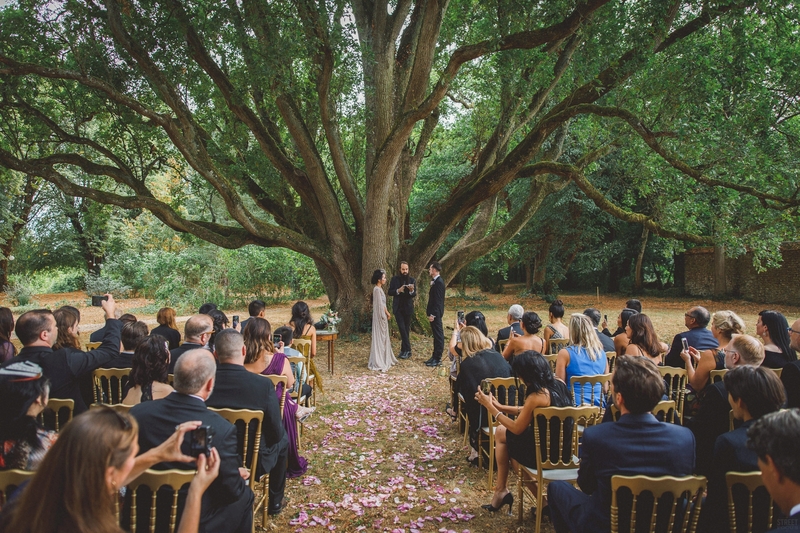 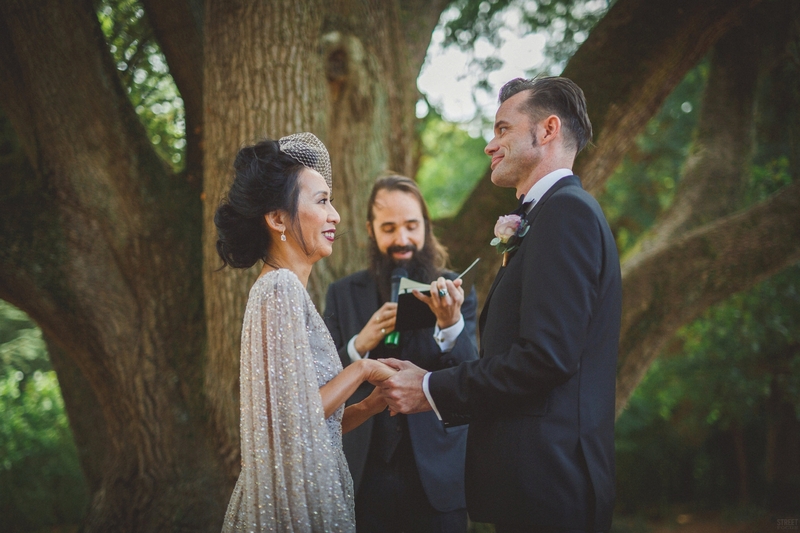 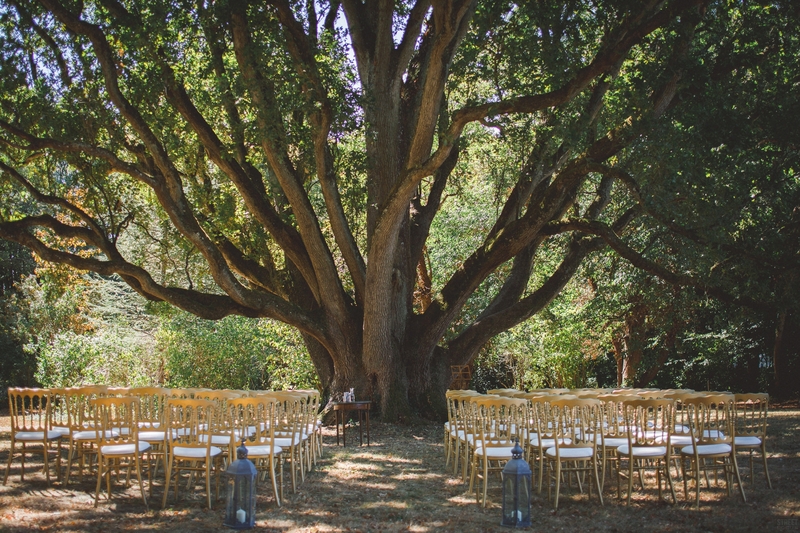 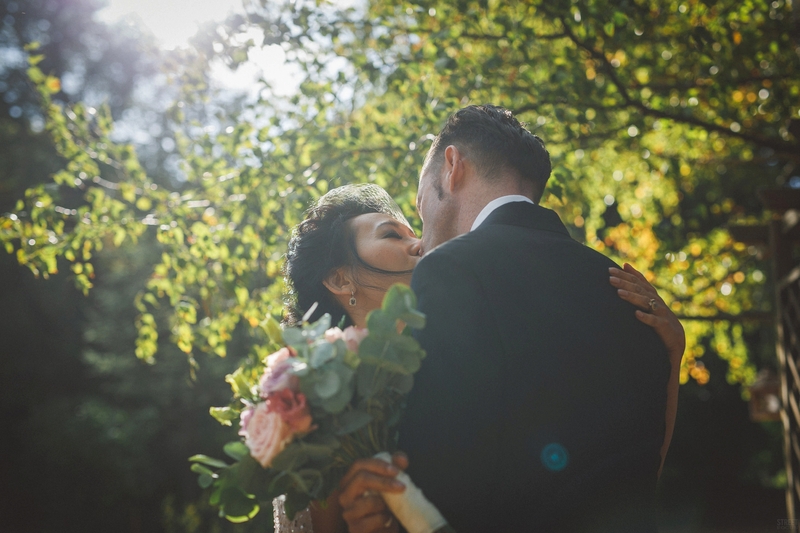 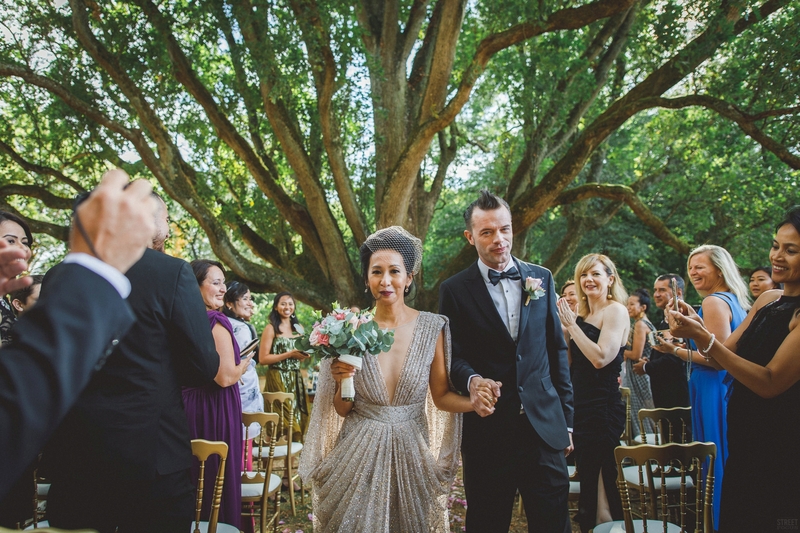 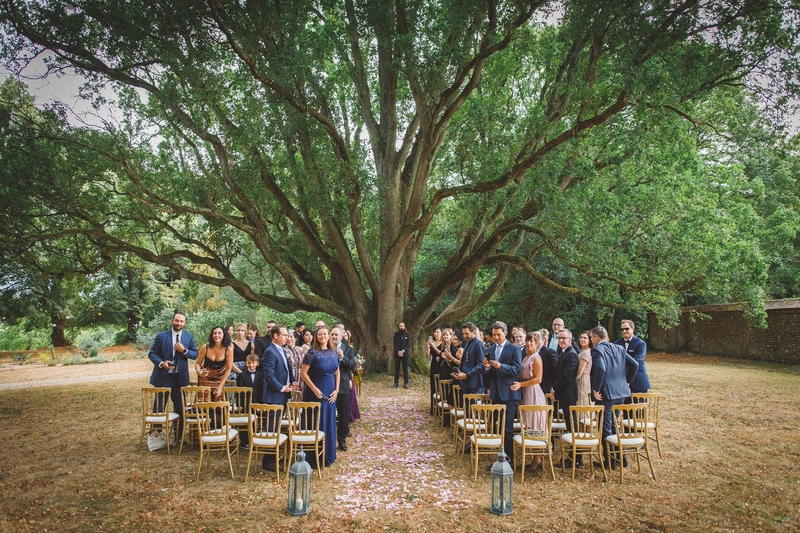 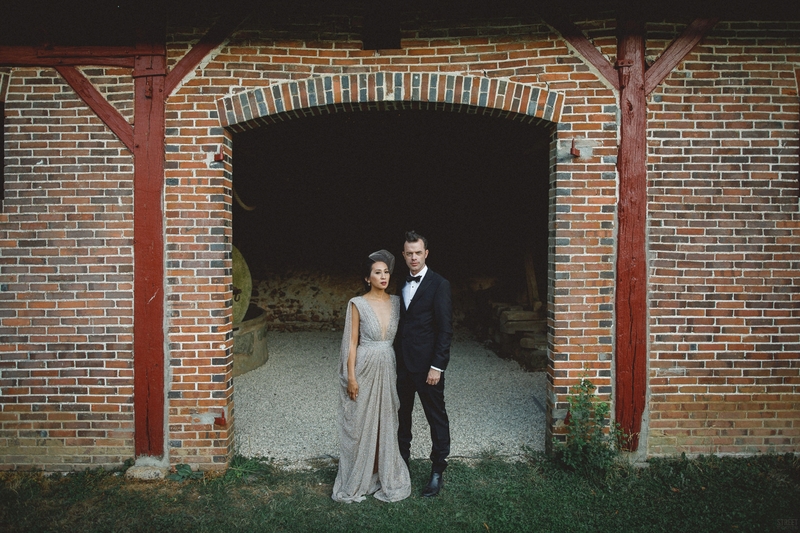 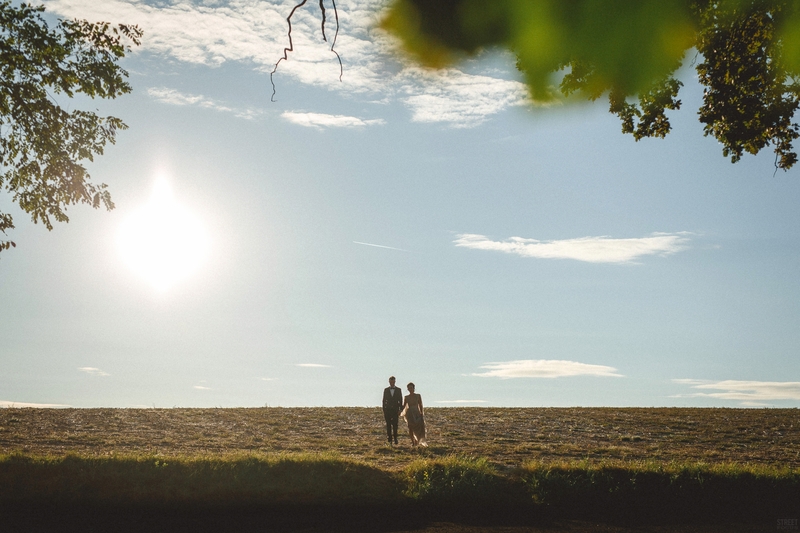 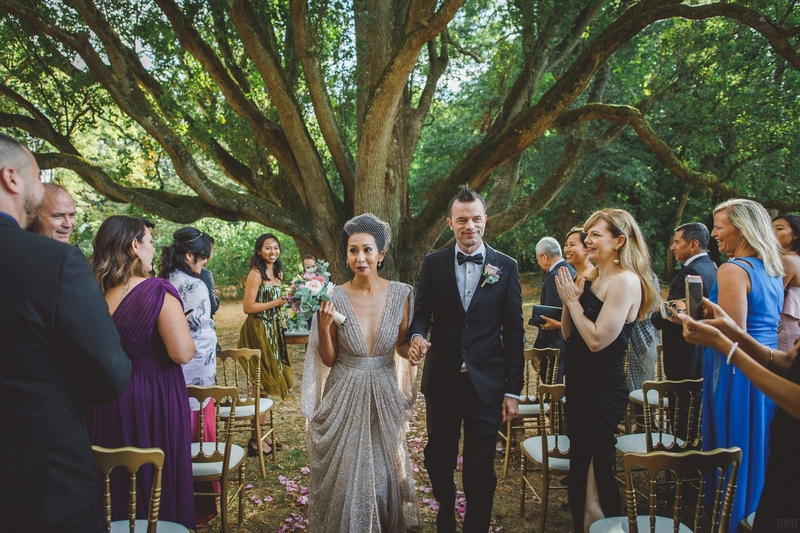 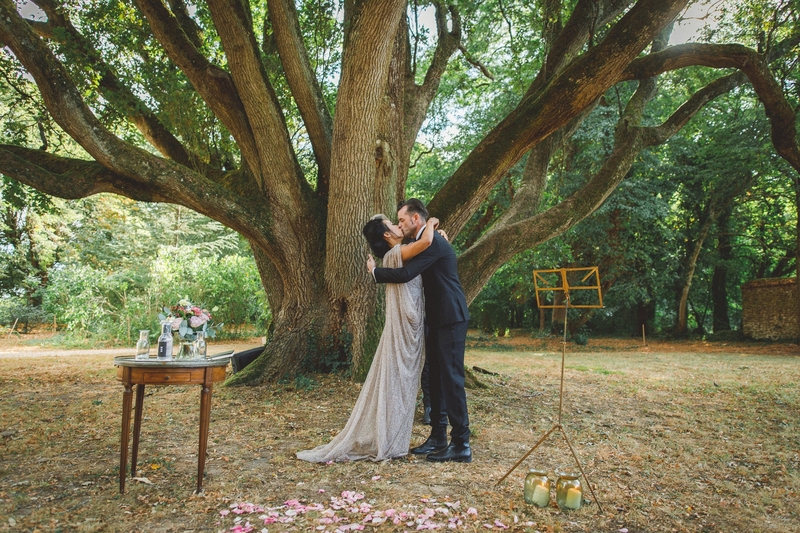 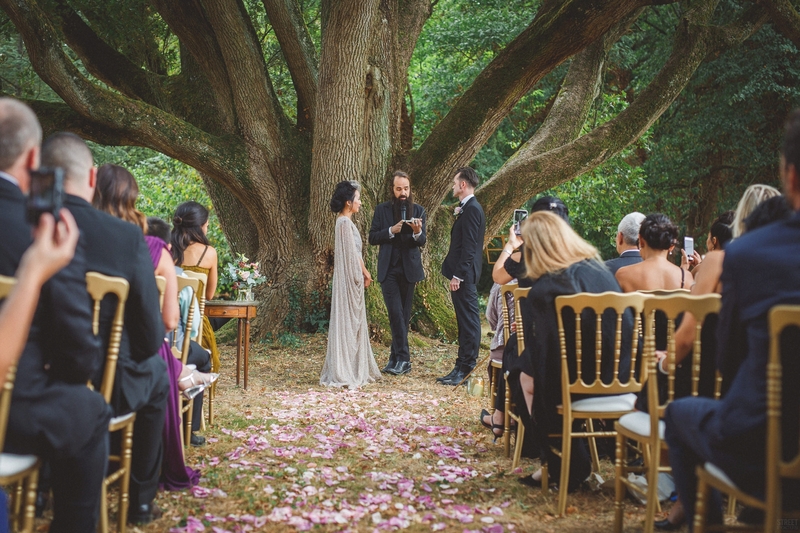 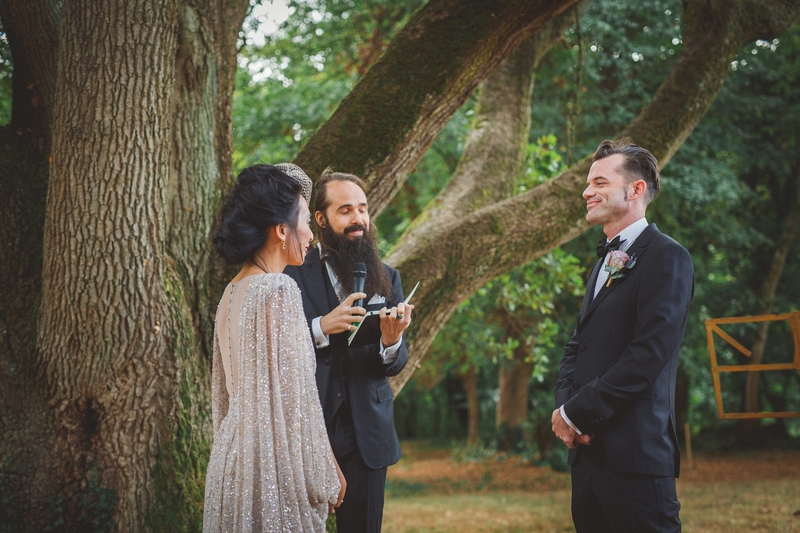 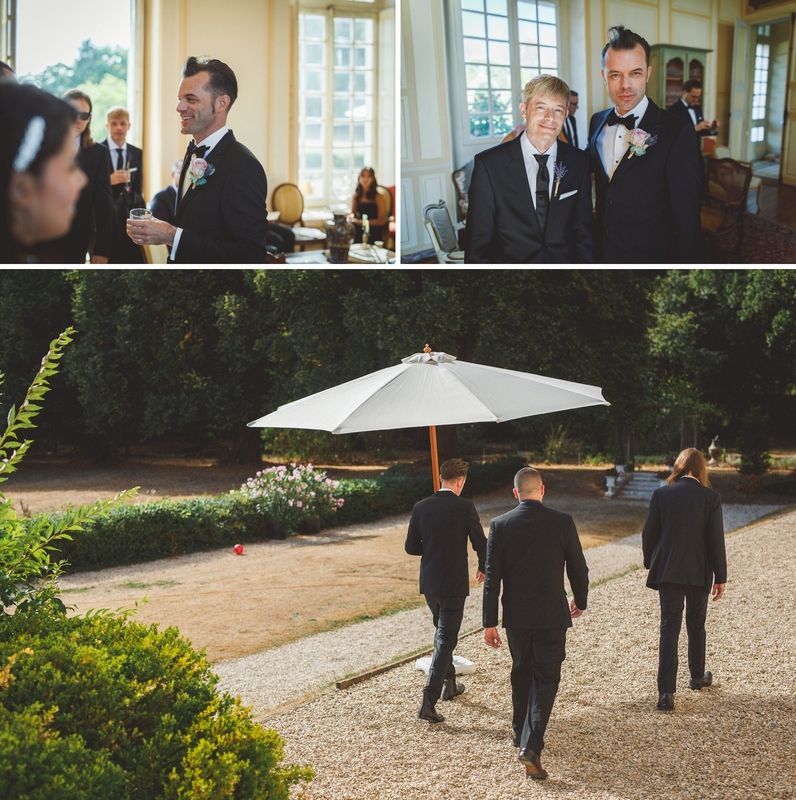 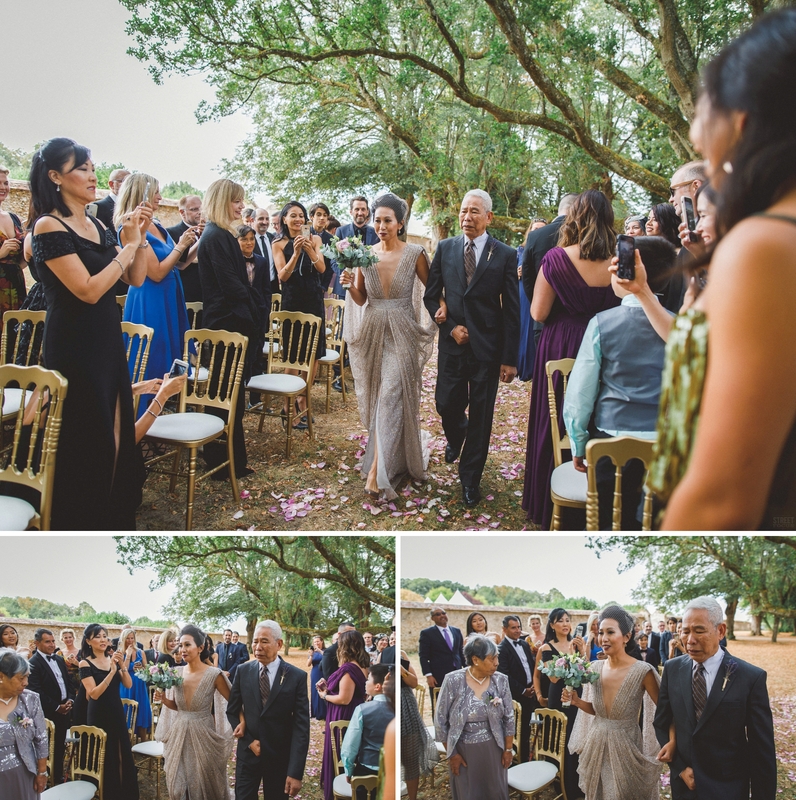 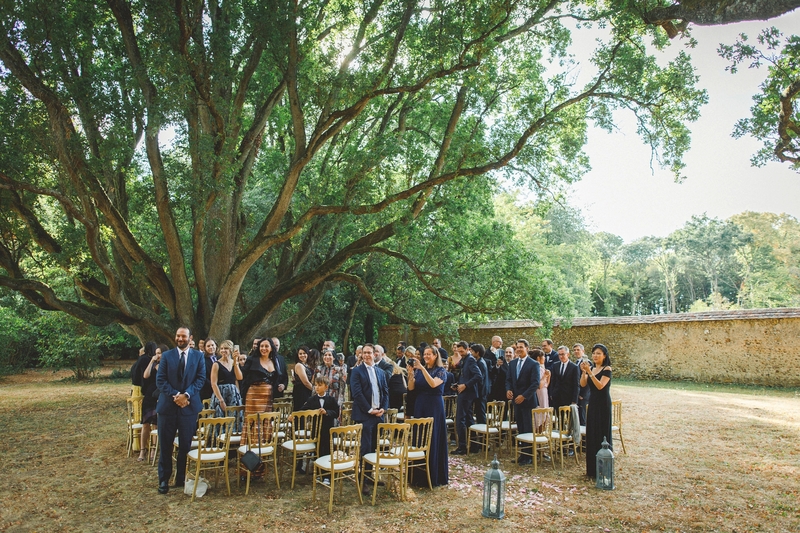 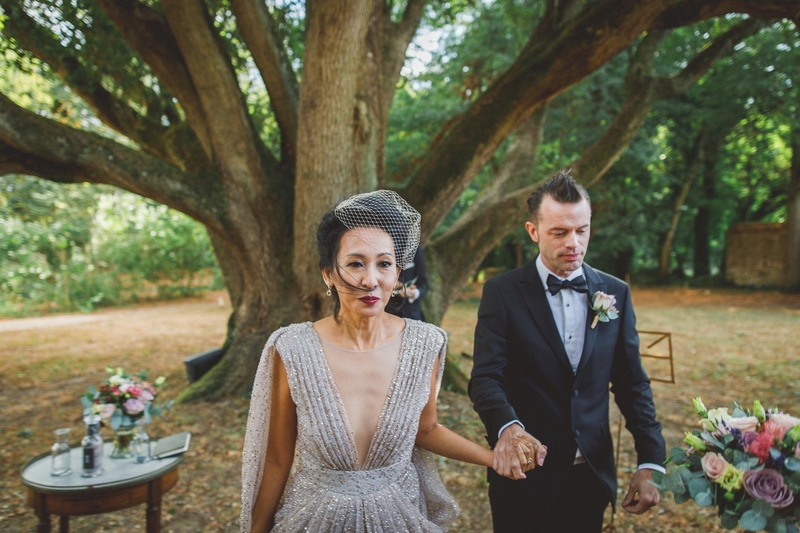 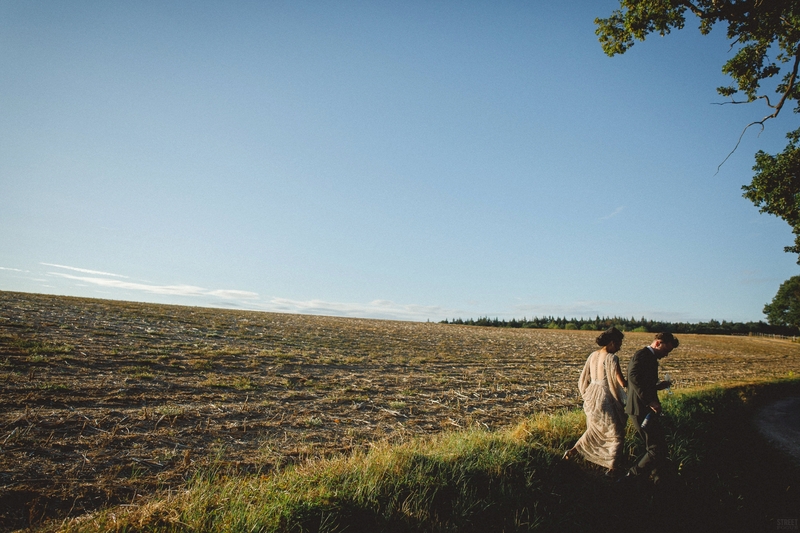 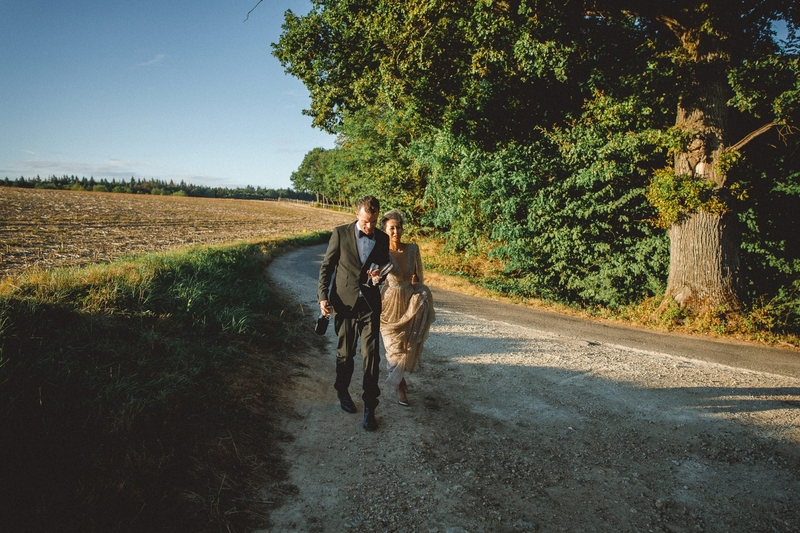 They had planned the setting right under a beautiful tree – perfect. 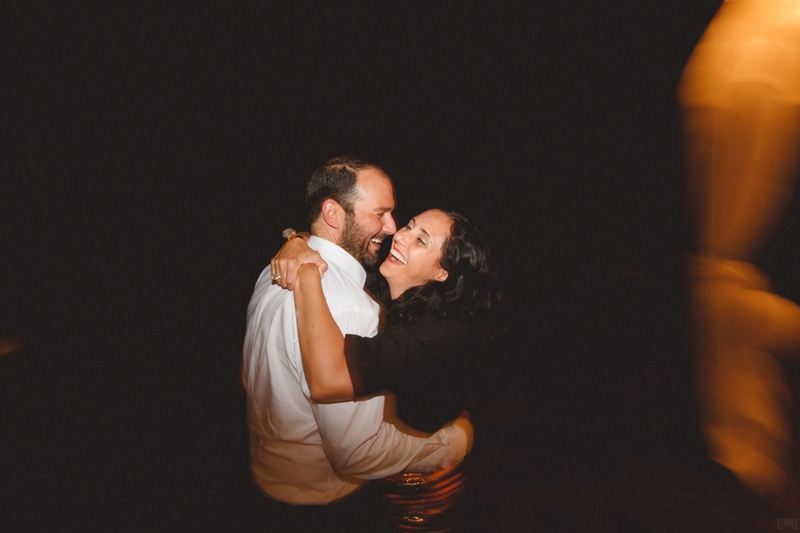 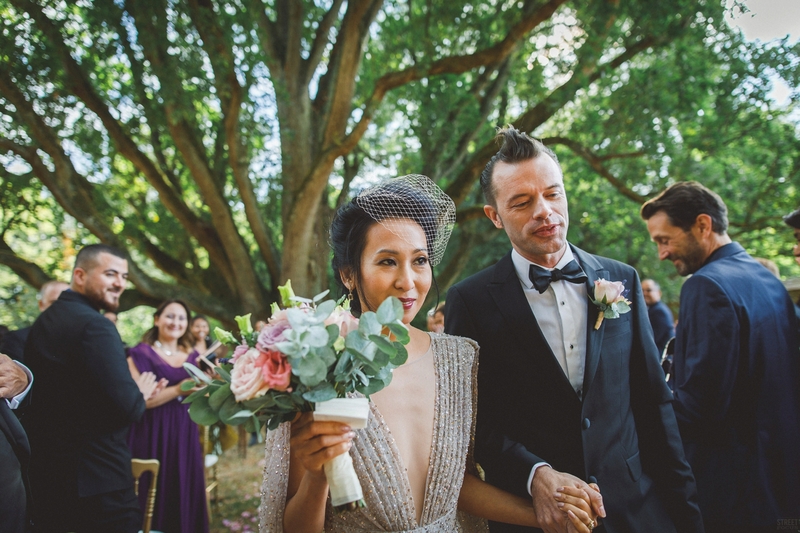 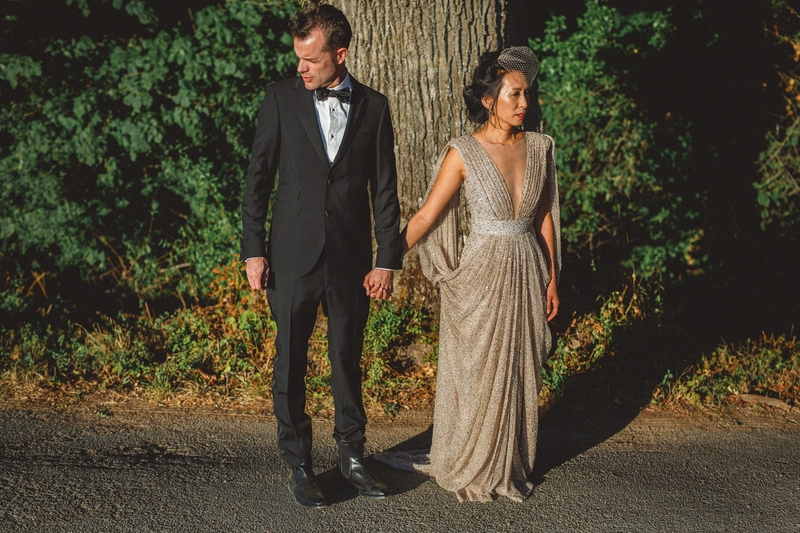 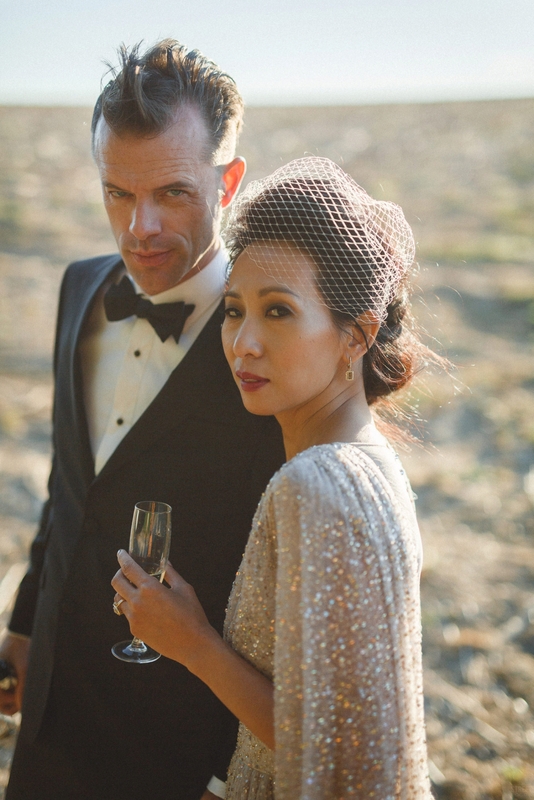 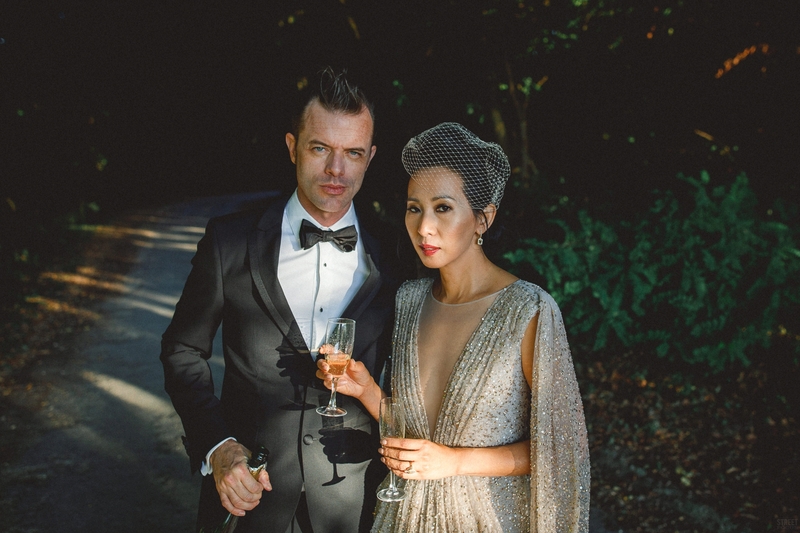 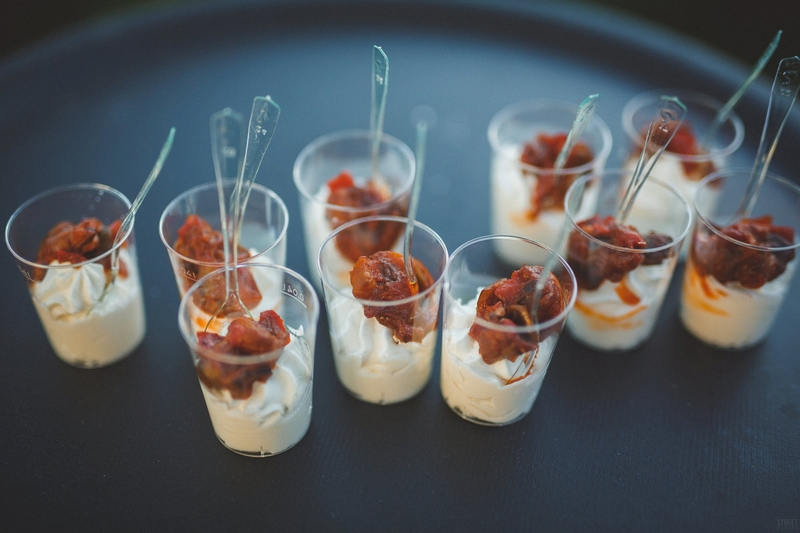 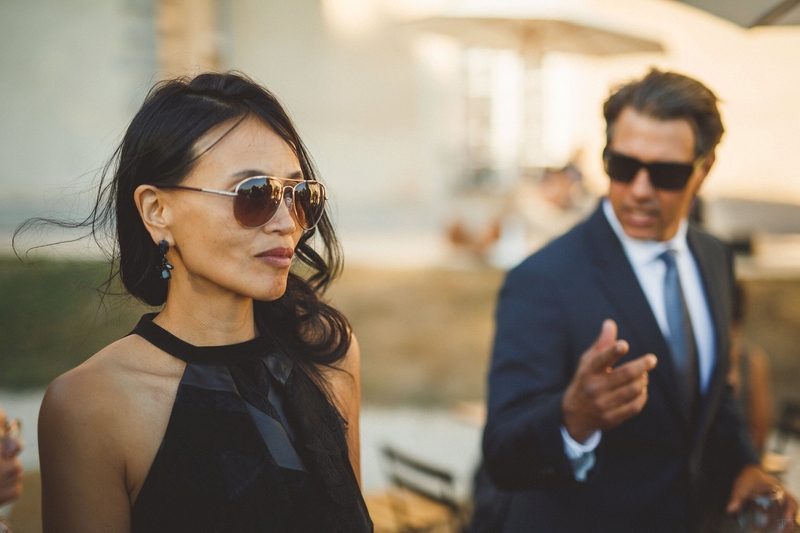 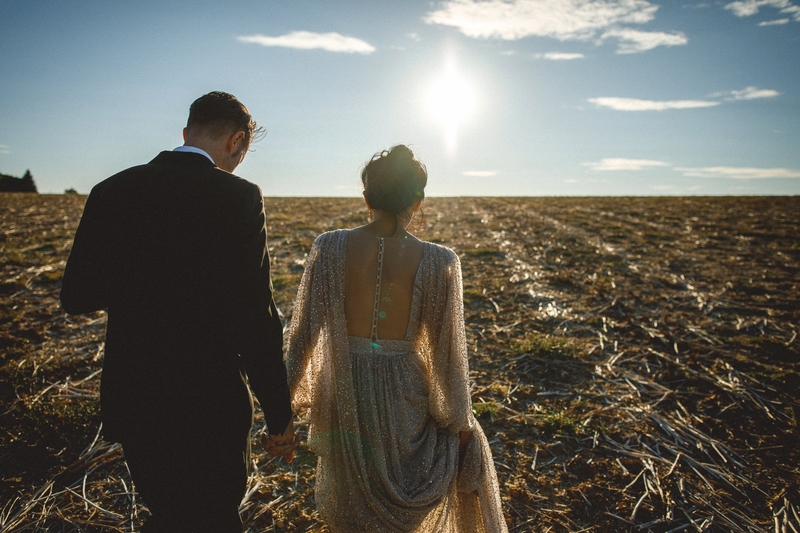 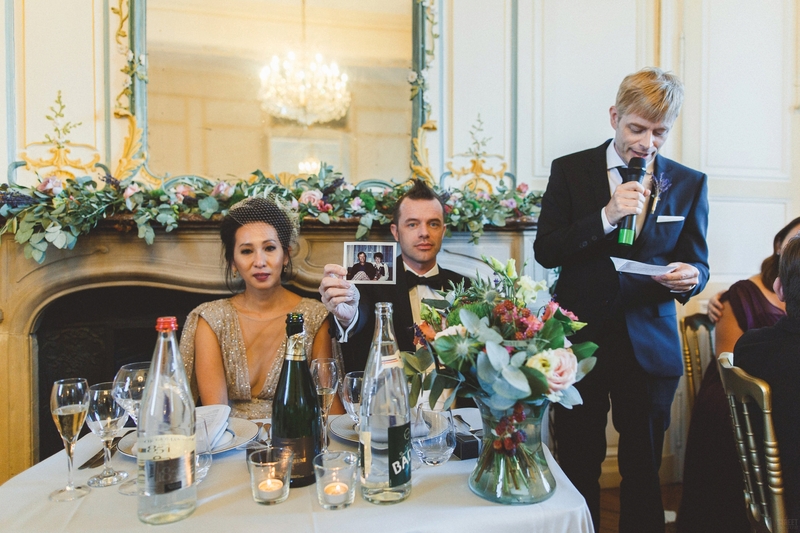 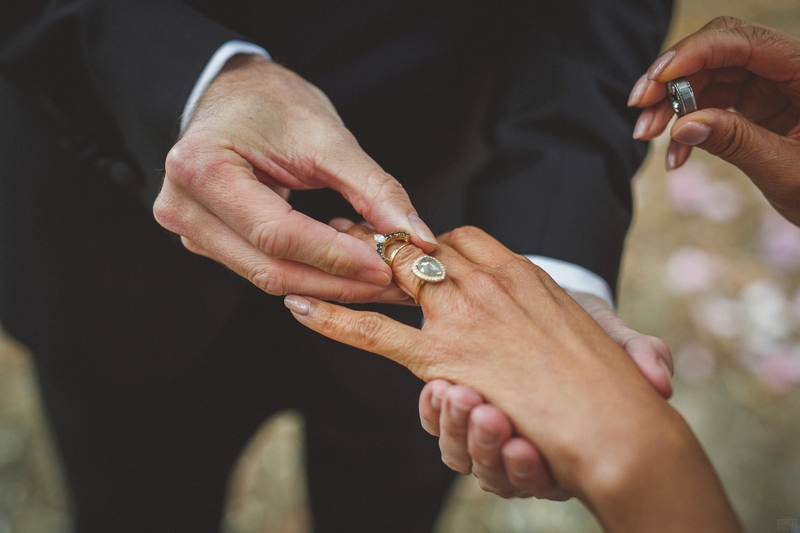 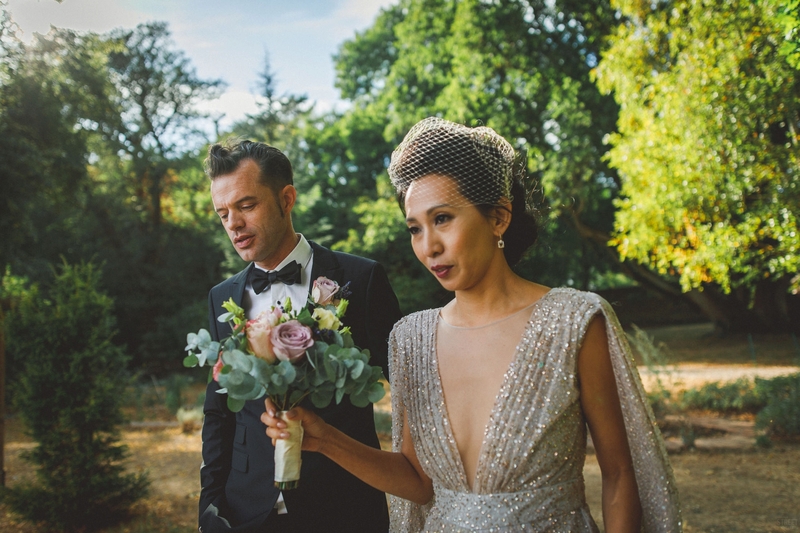 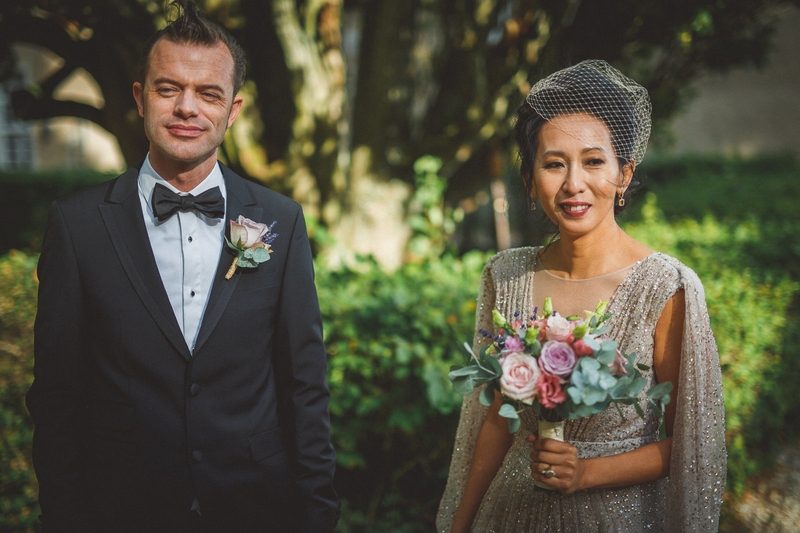 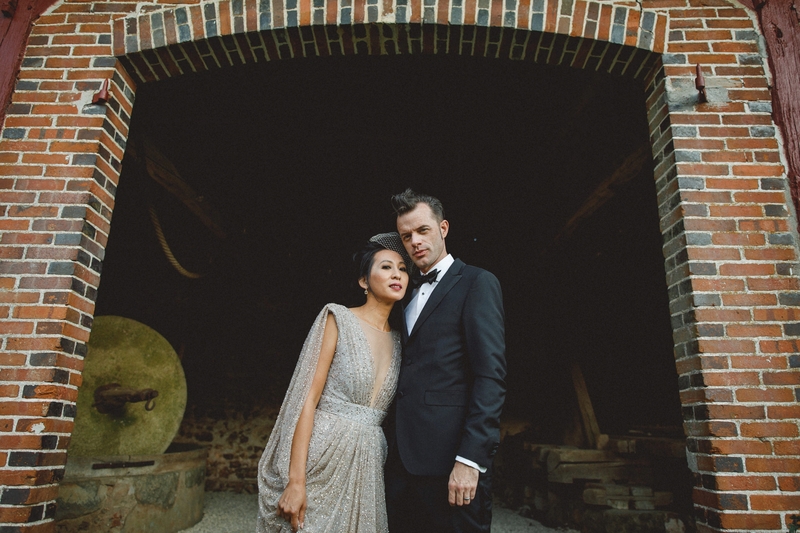 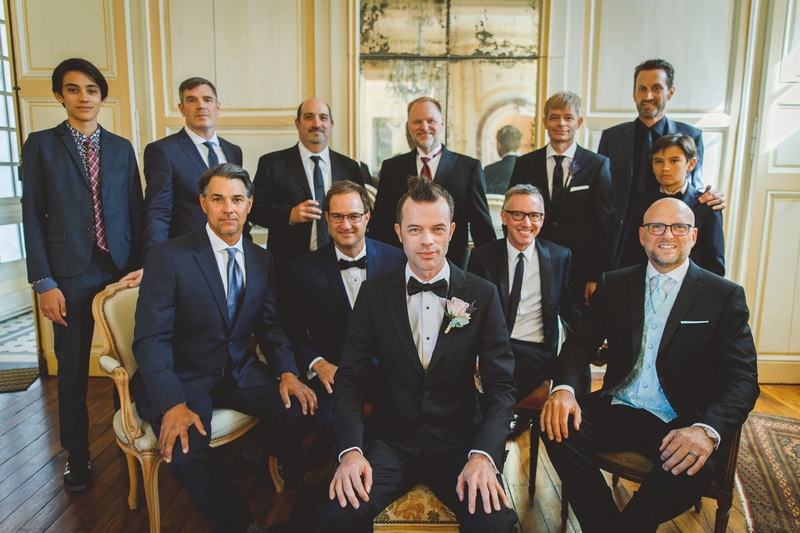 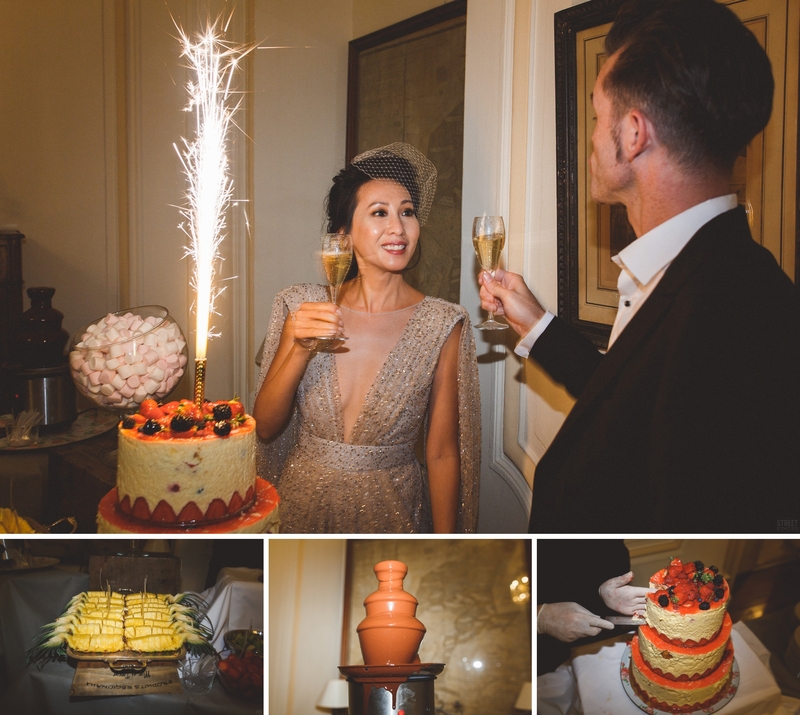 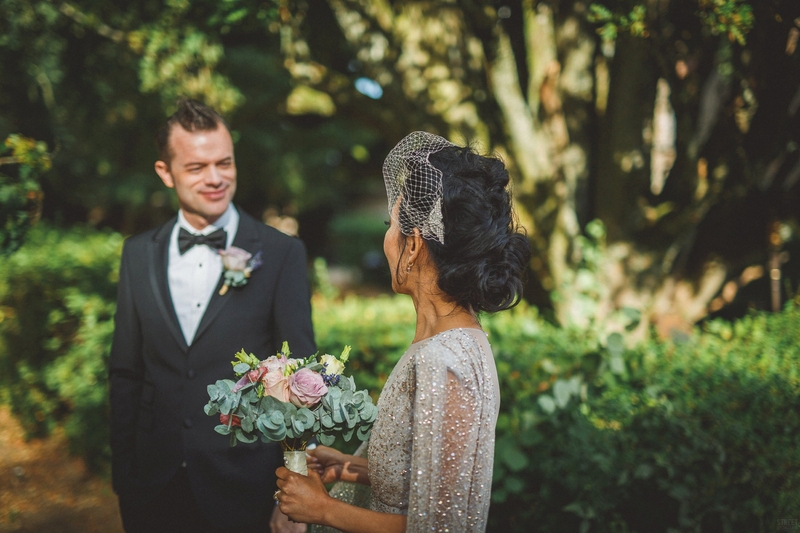 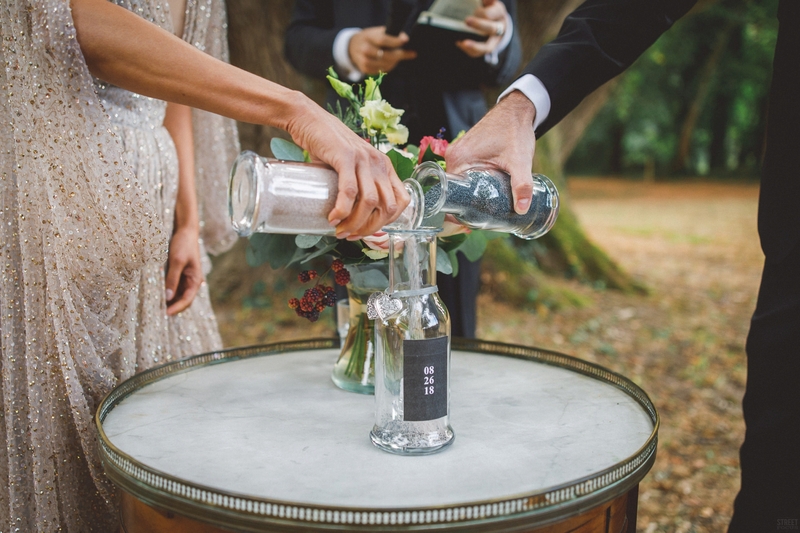 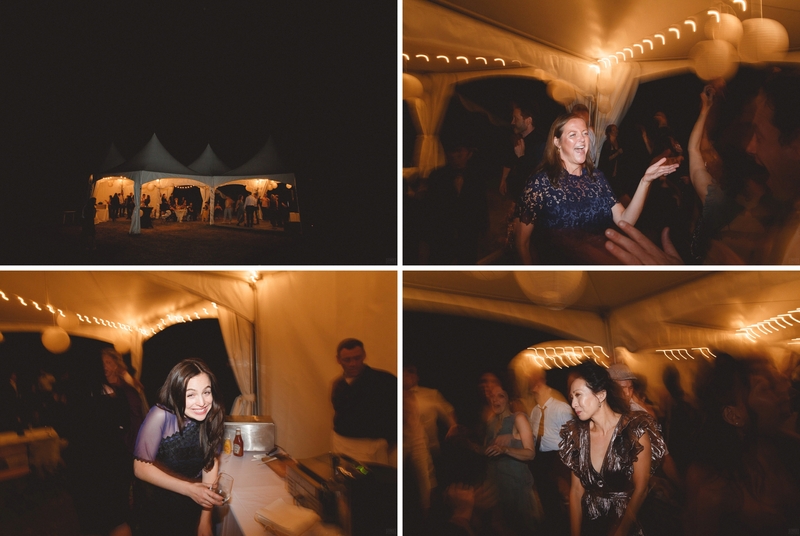 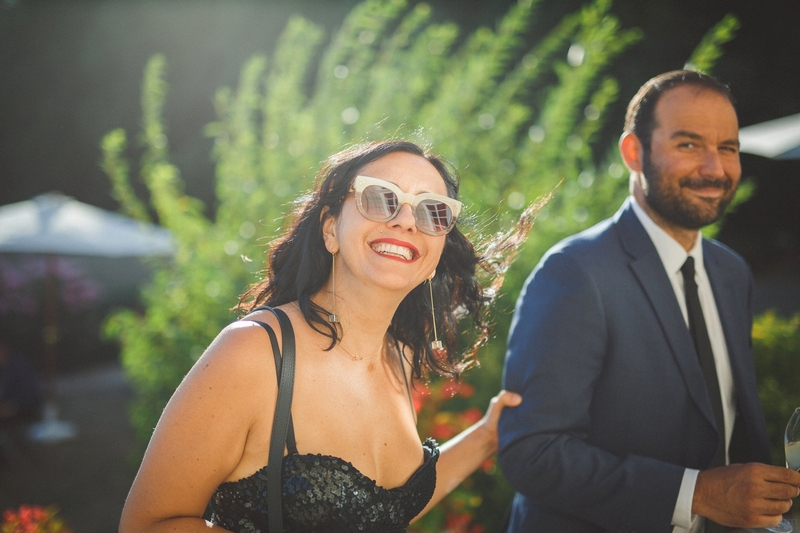 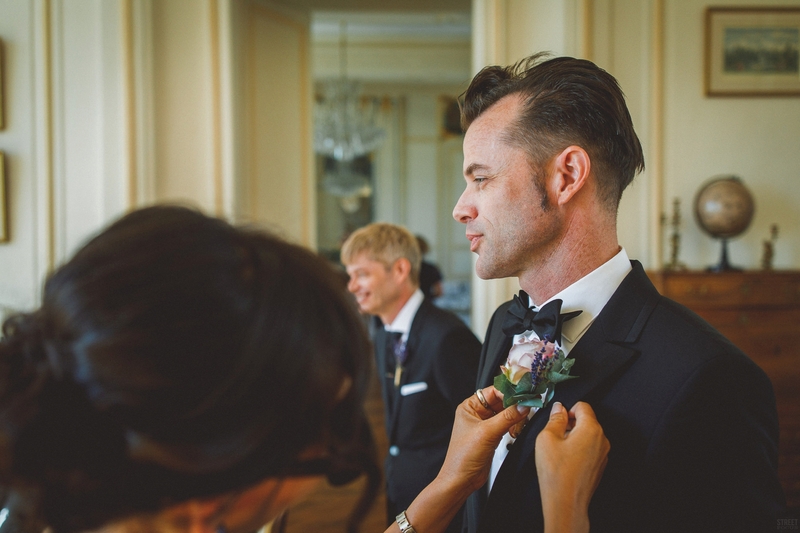 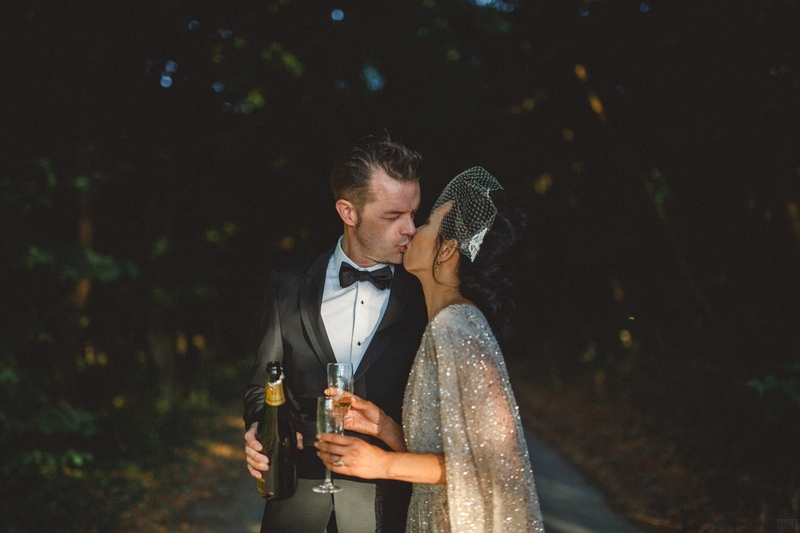 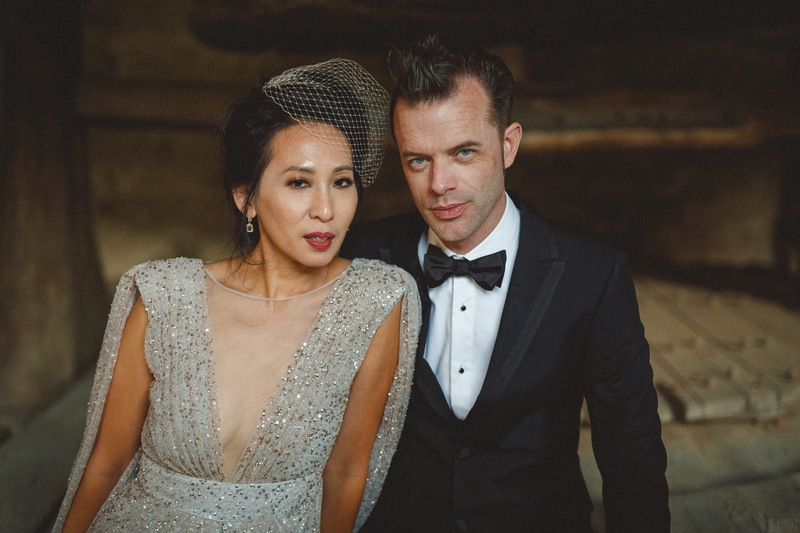 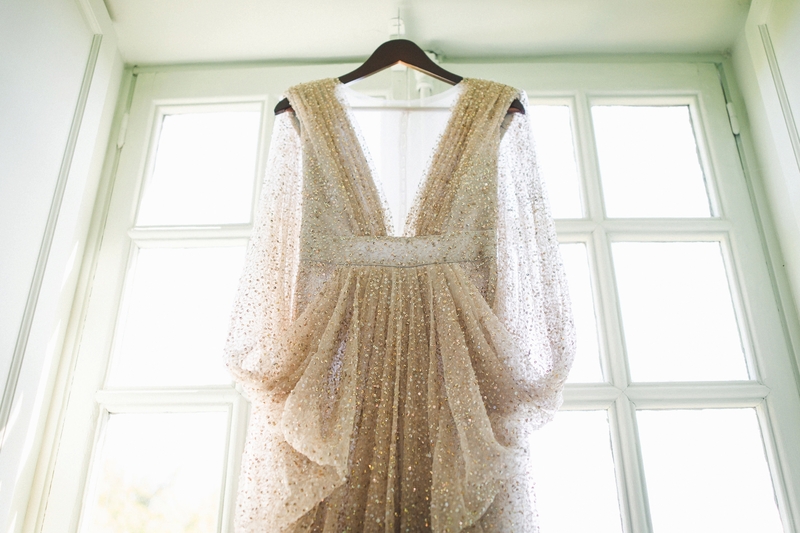 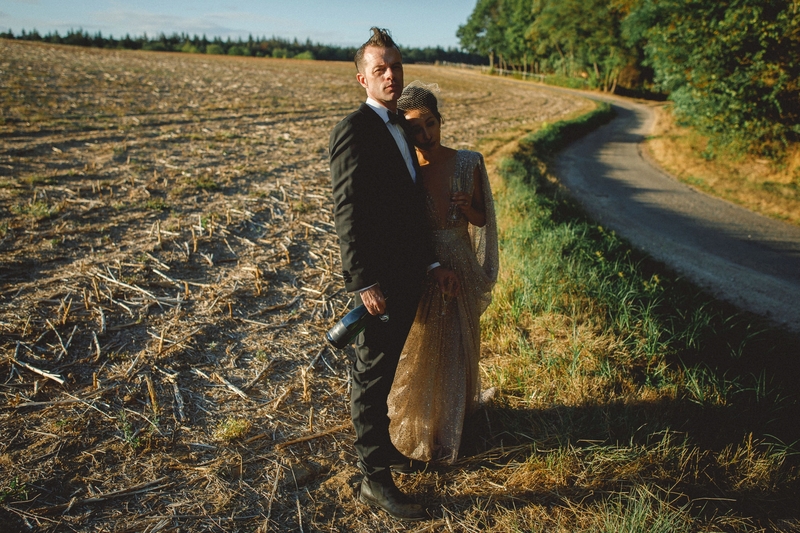 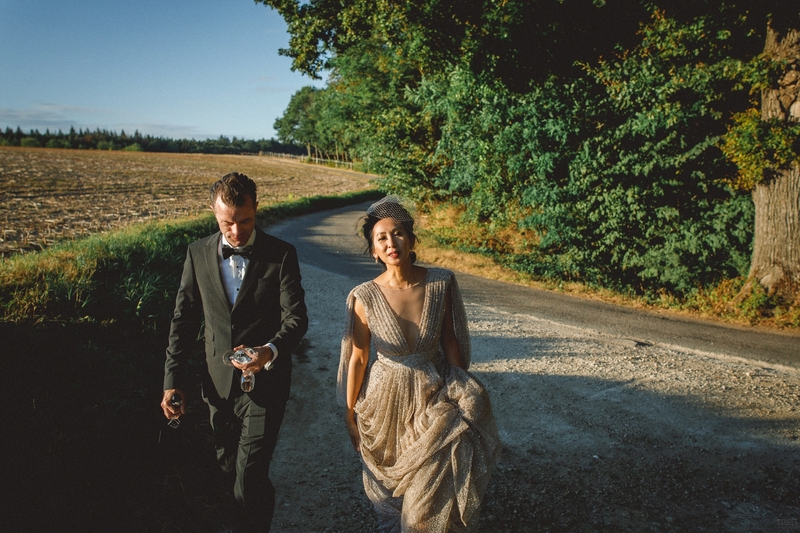 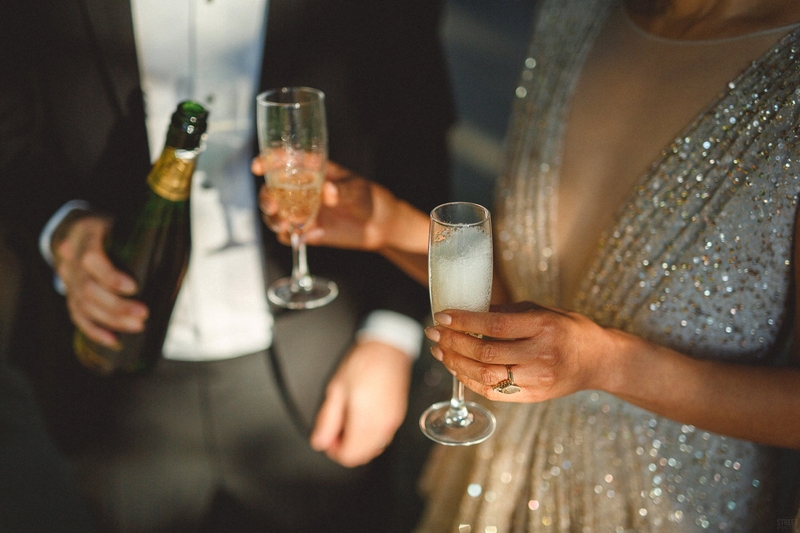 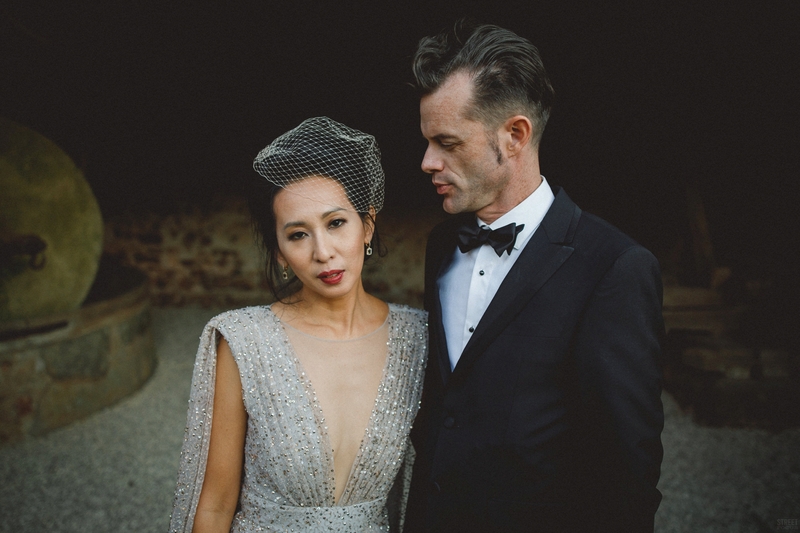 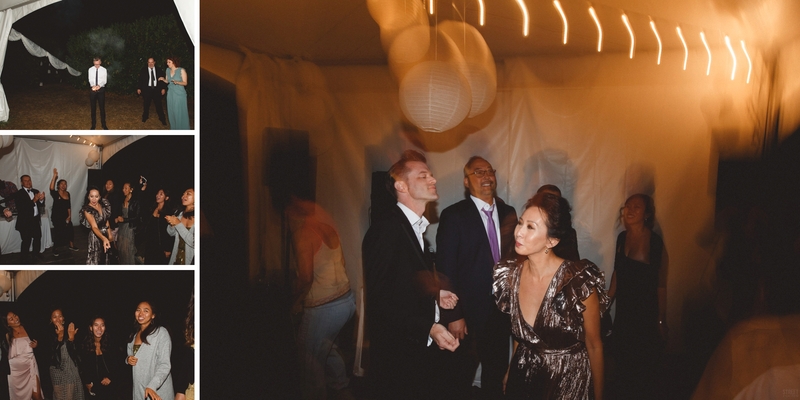 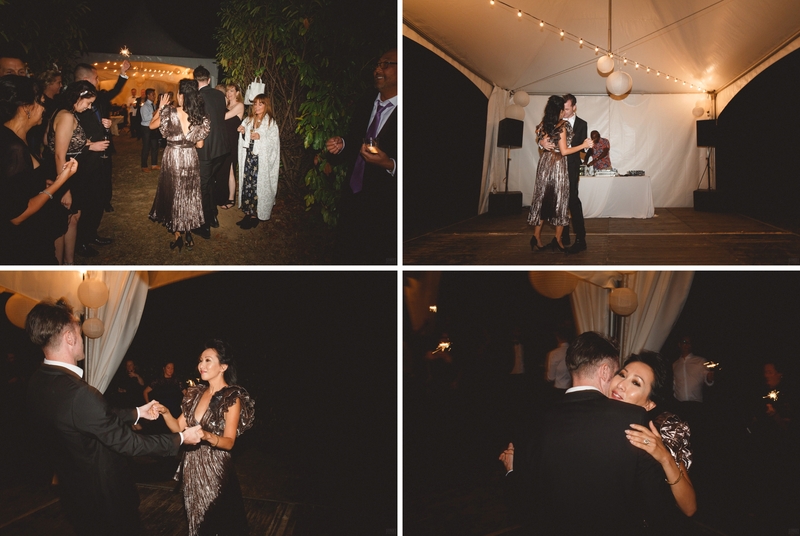 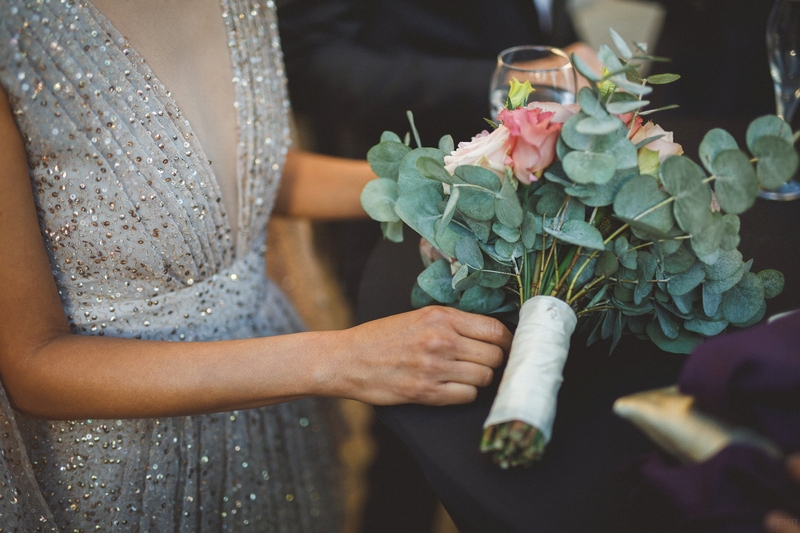 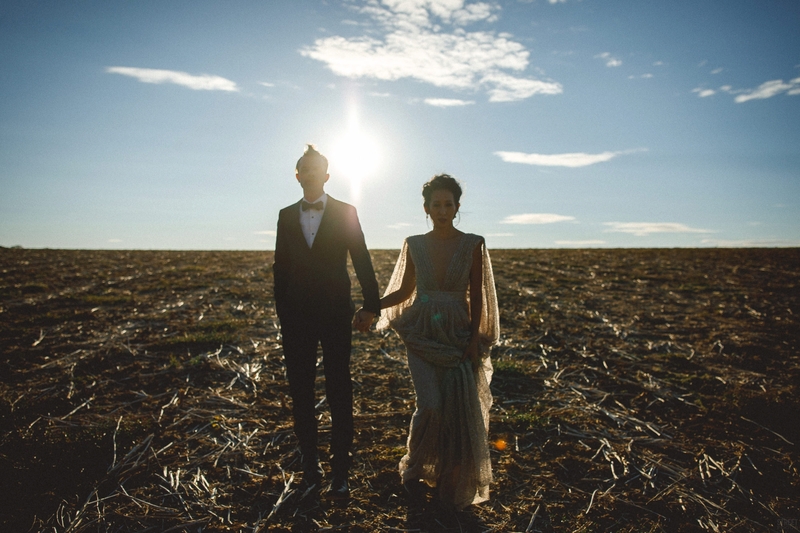 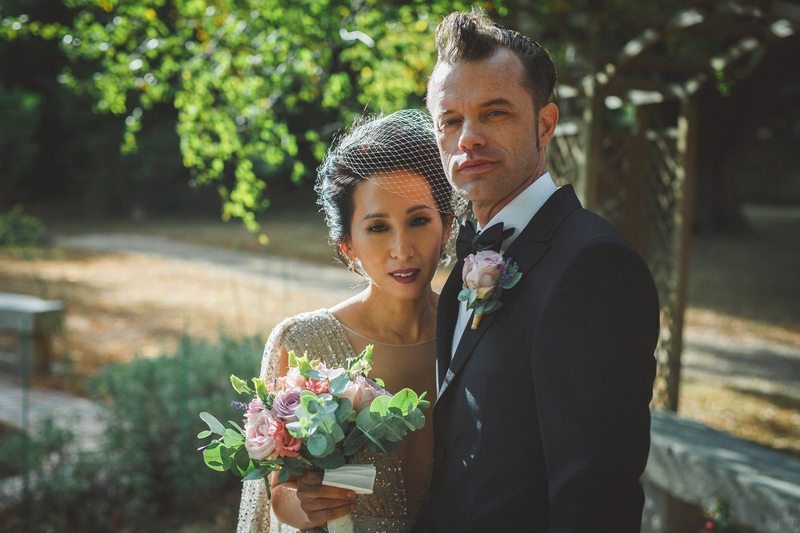 After exchanging vows, the party started with a magnificent cocktail and dinner. 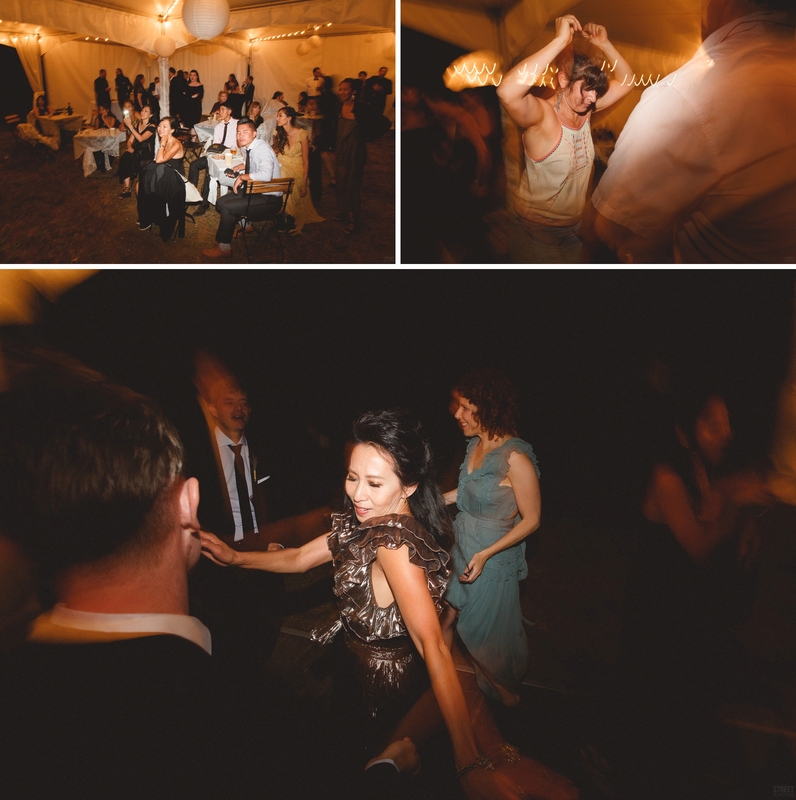 The dancing was crazy and the music was the best I’ve heard in a while!! 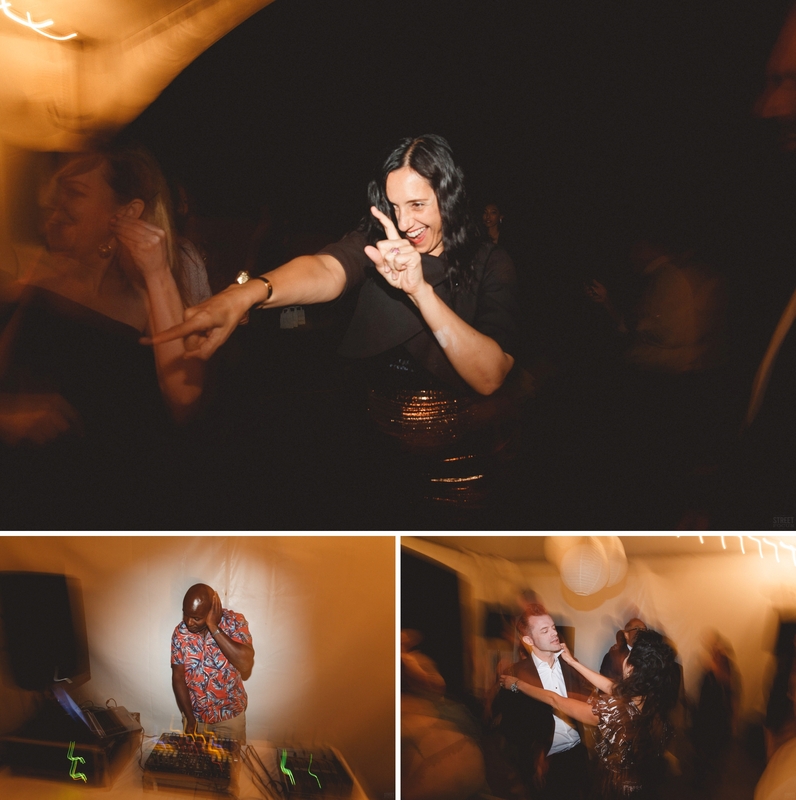 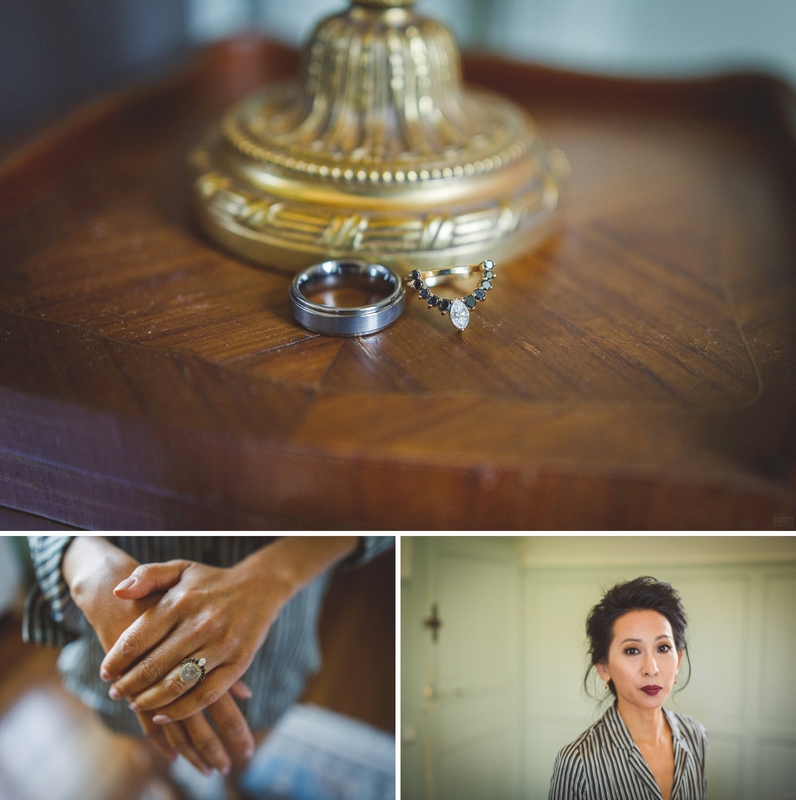 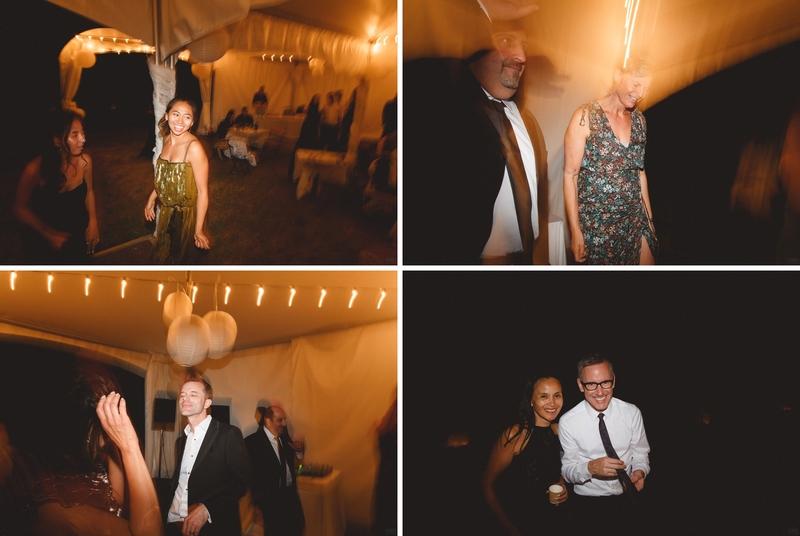 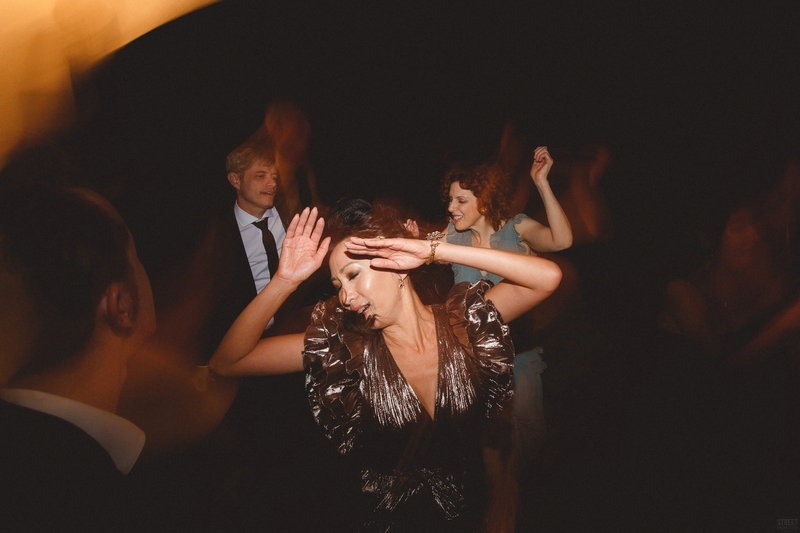 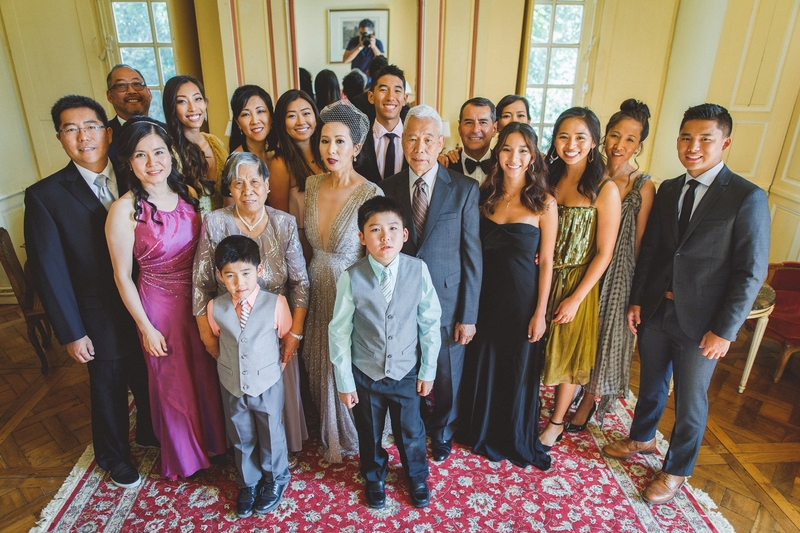 I really had a great time covering this wedding!